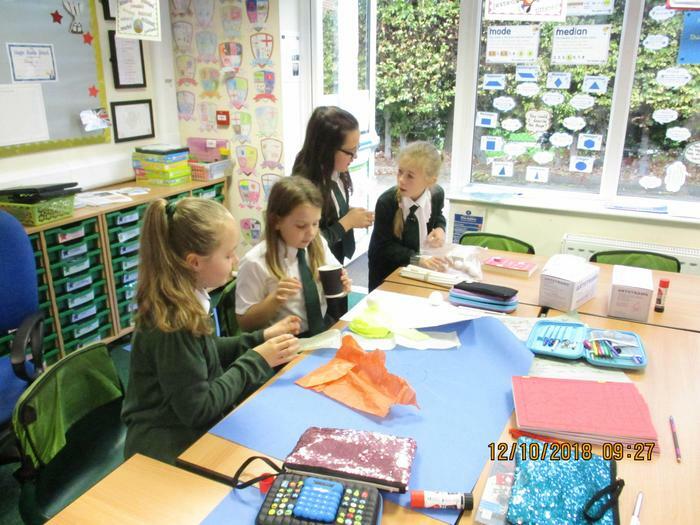 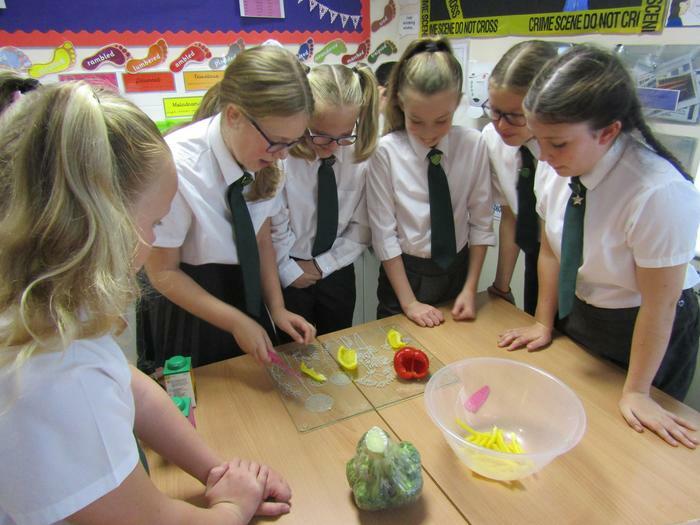 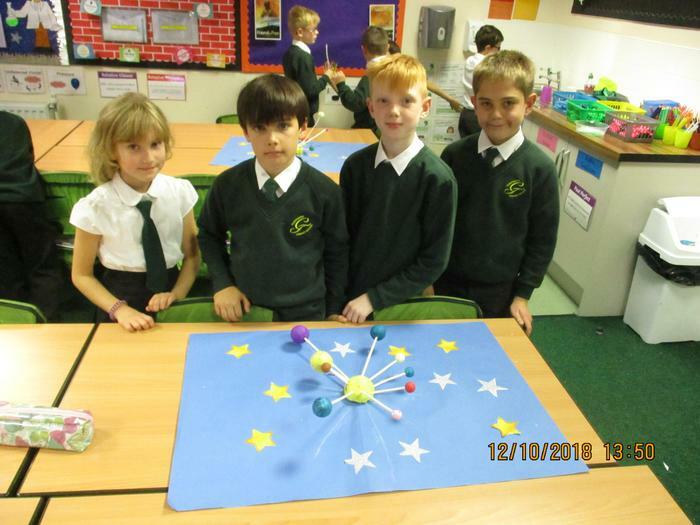 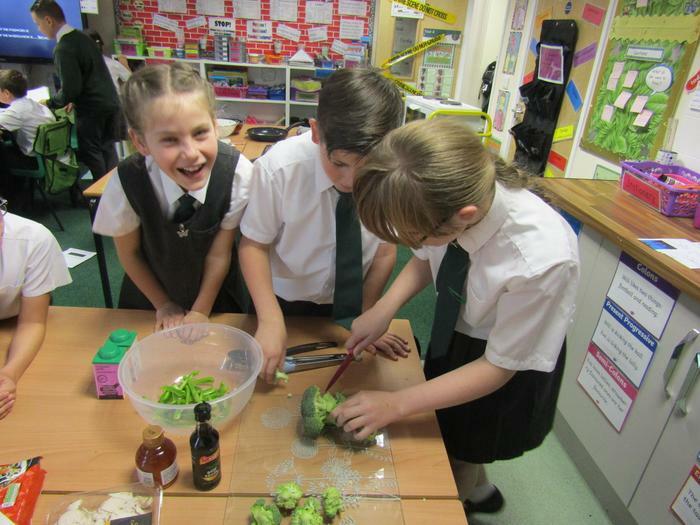 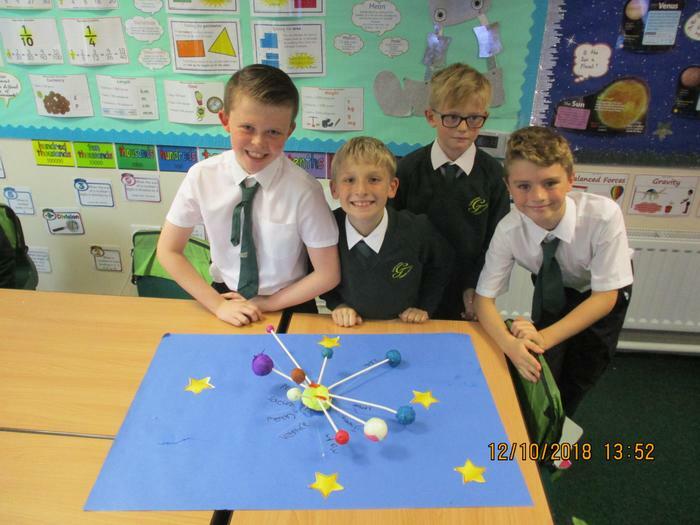 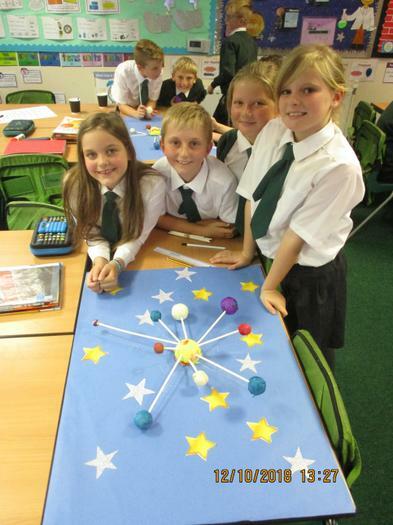 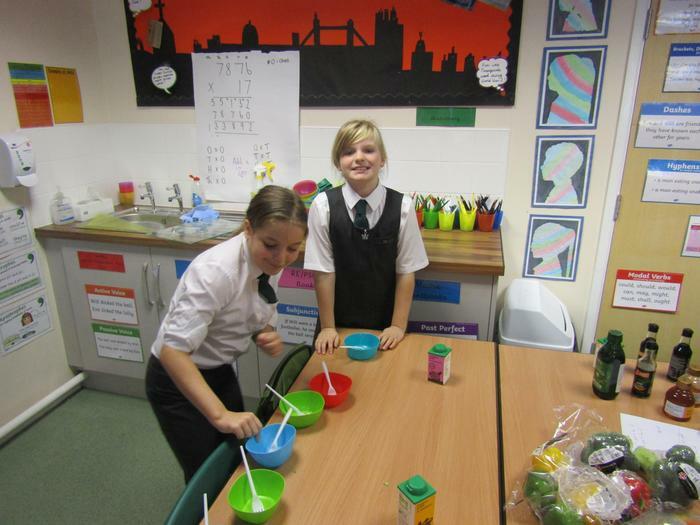 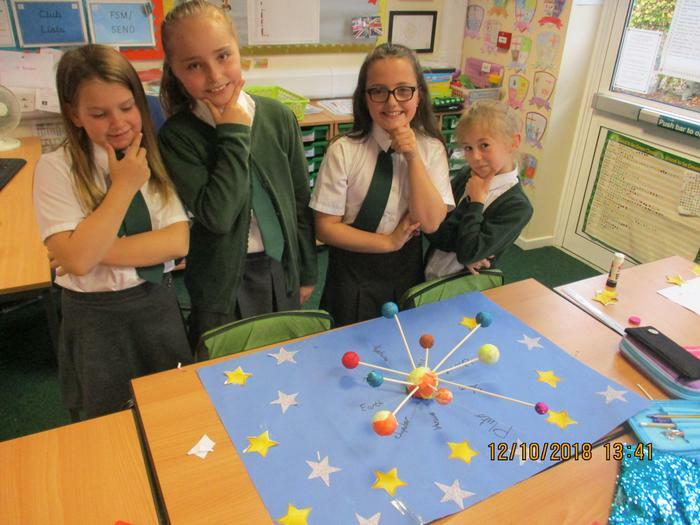 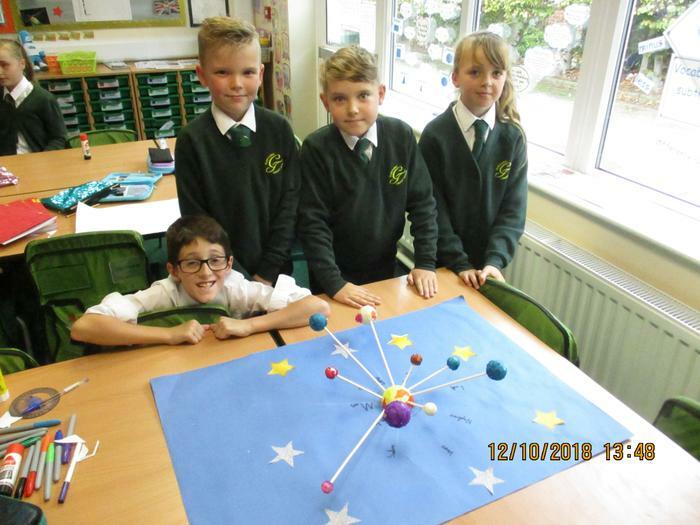 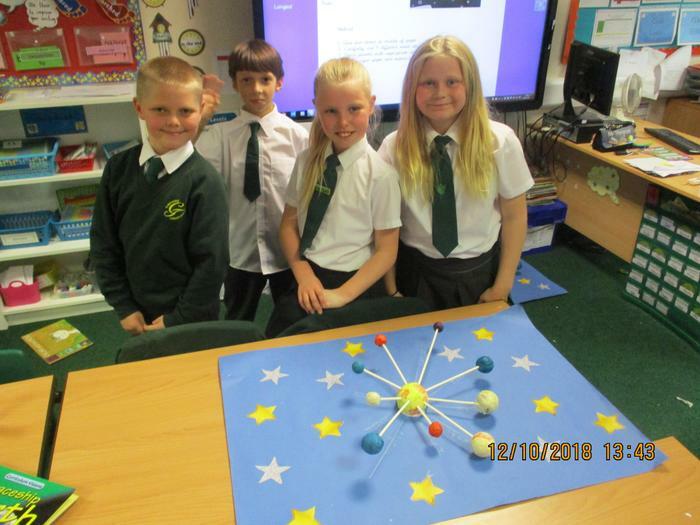 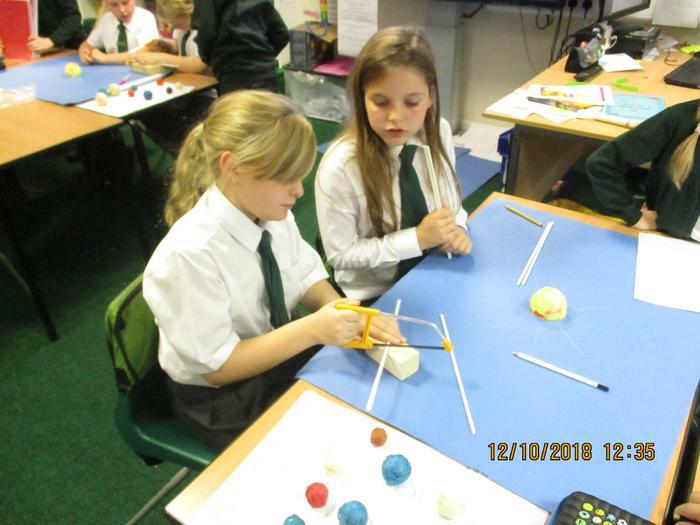 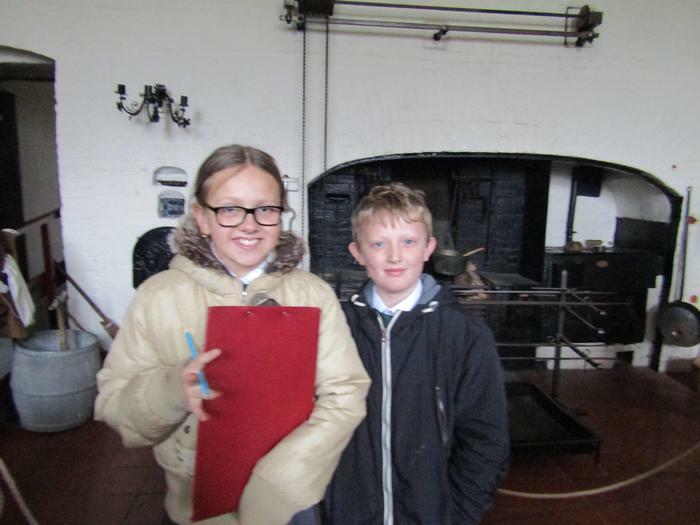 So far this year, Year 5 and 6 have been having a wonderful time, learning about many new and exciting topics. 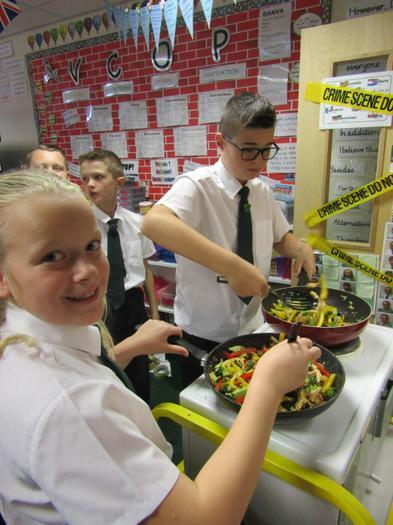 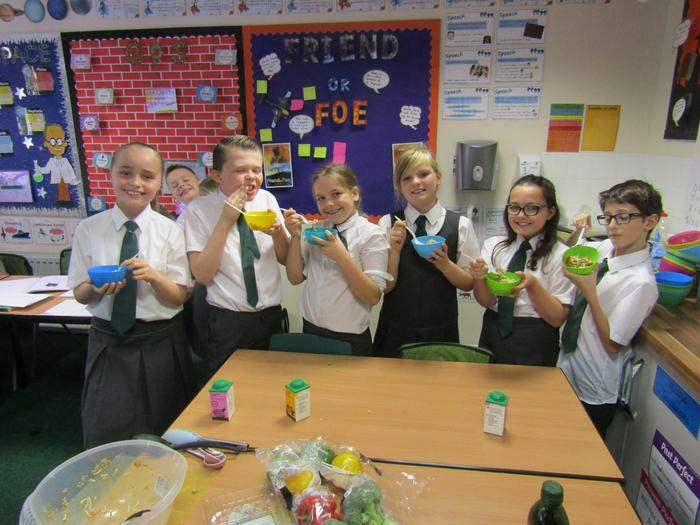 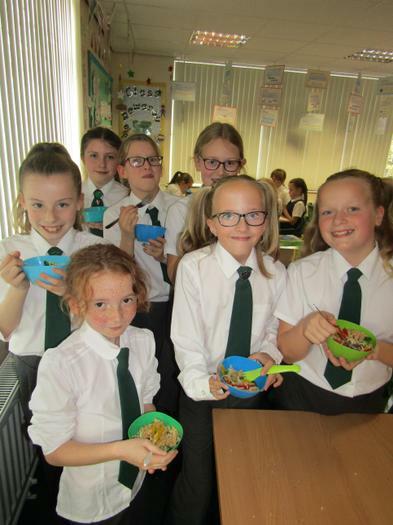 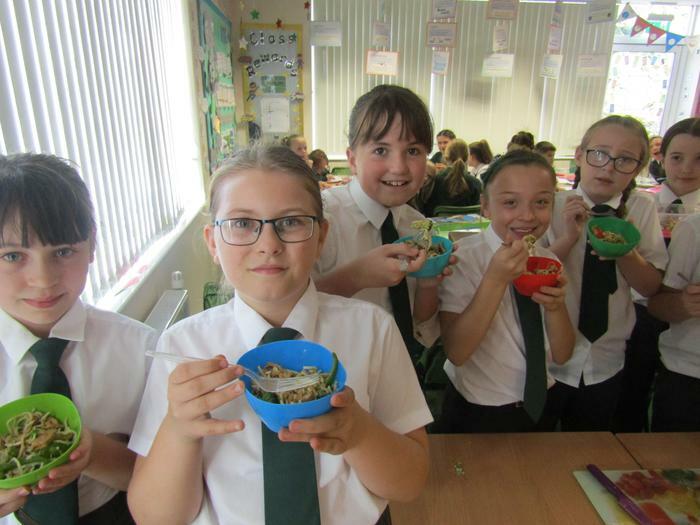 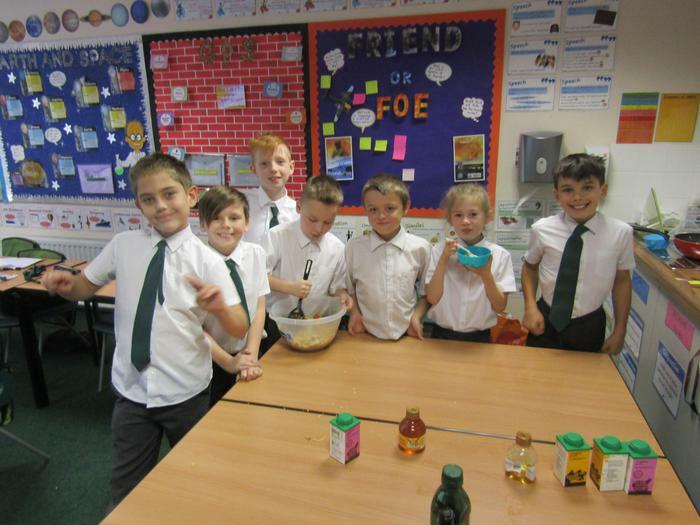 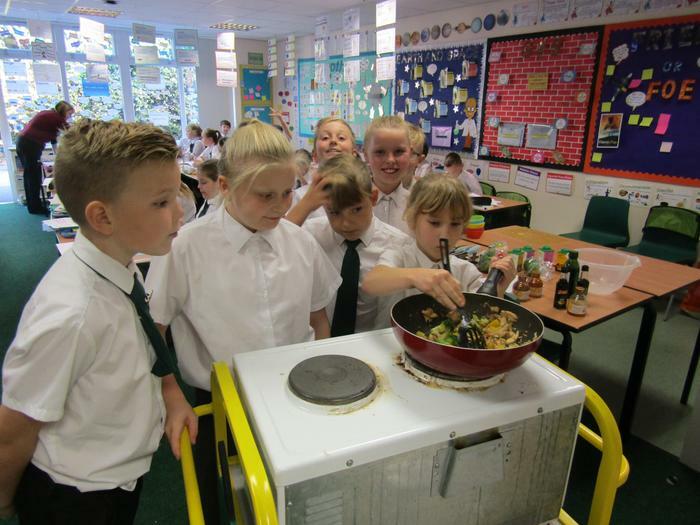 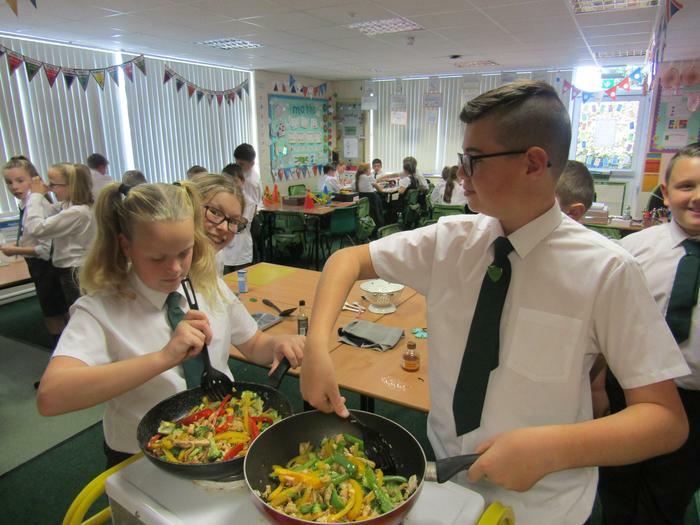 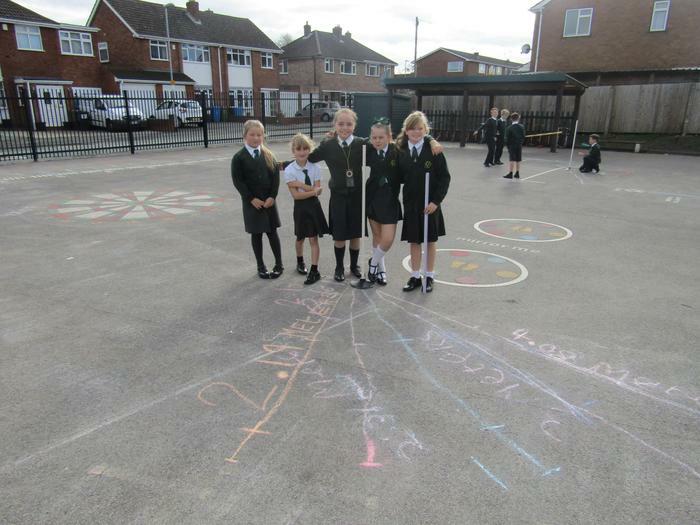 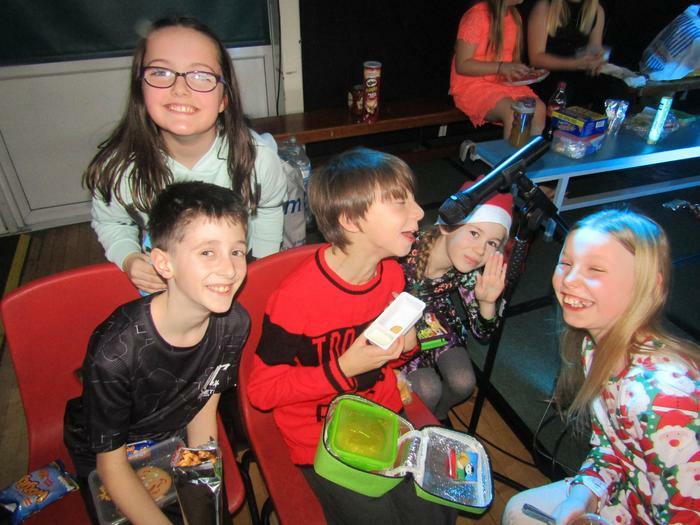 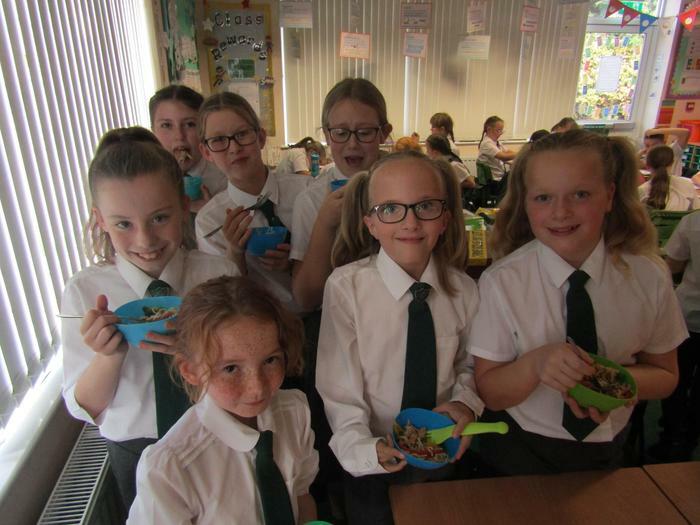 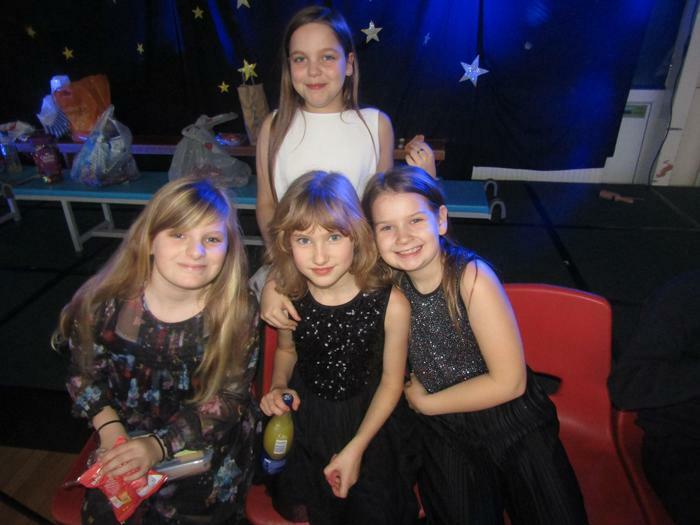 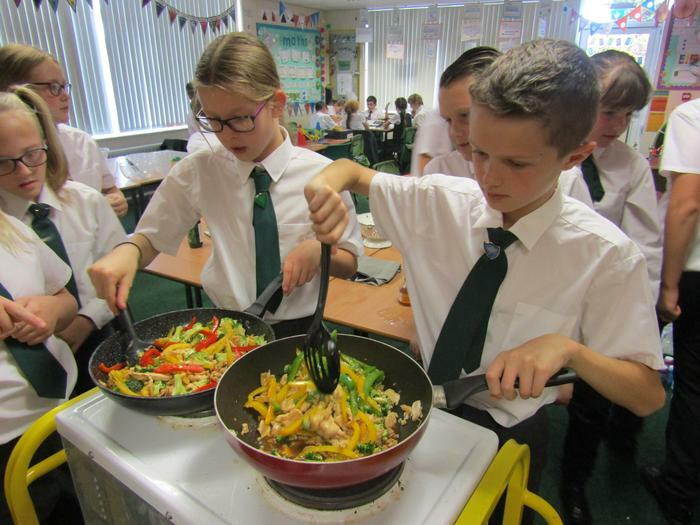 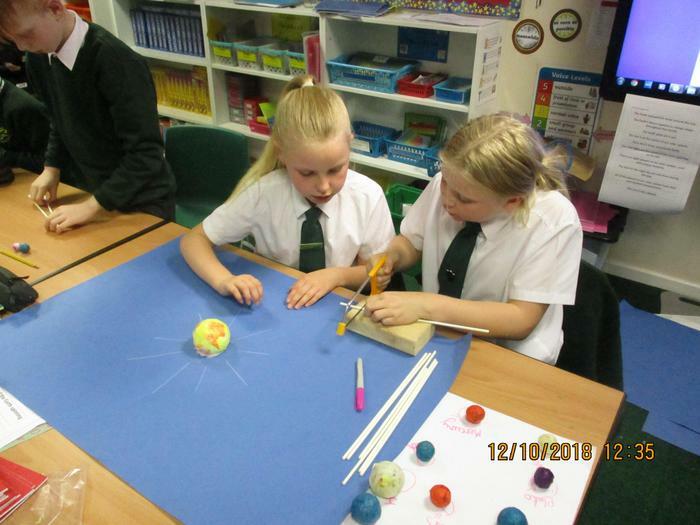 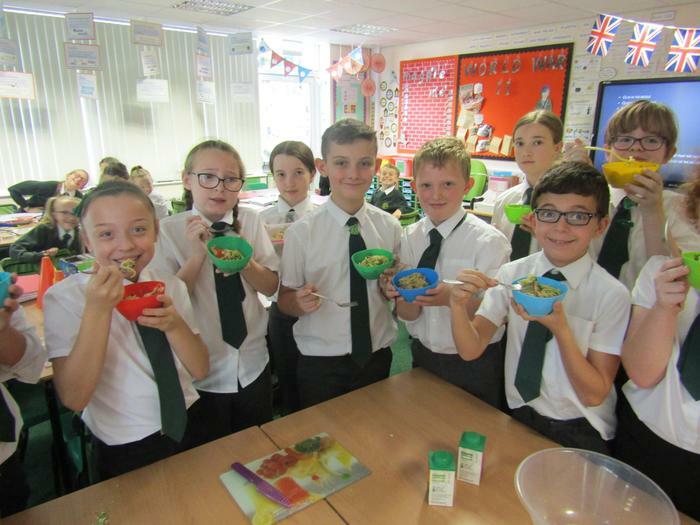 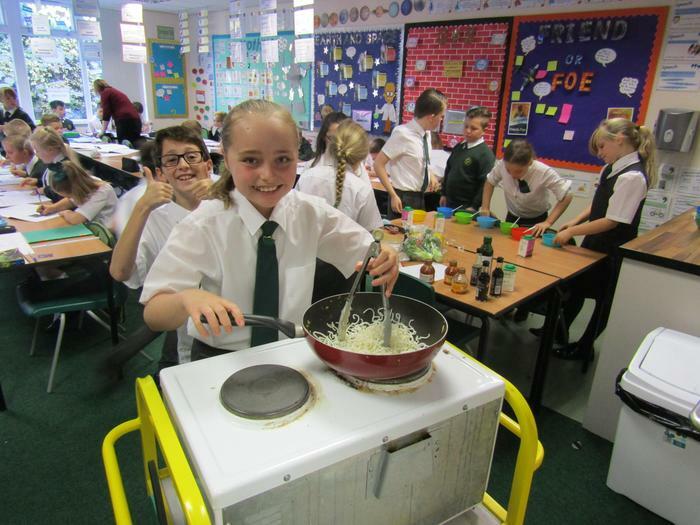 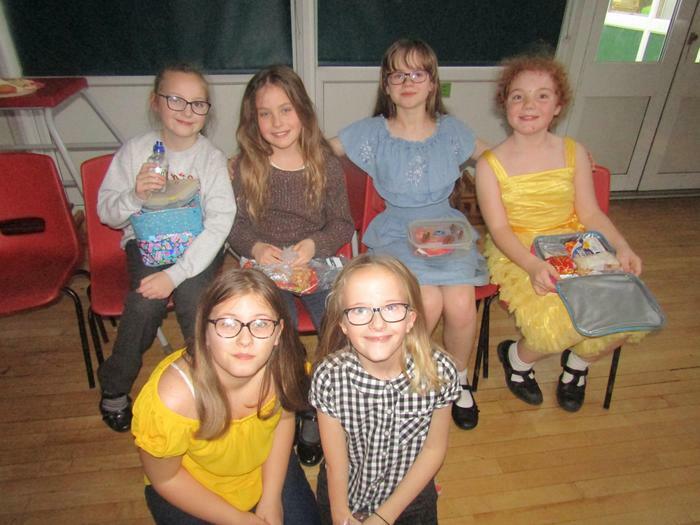 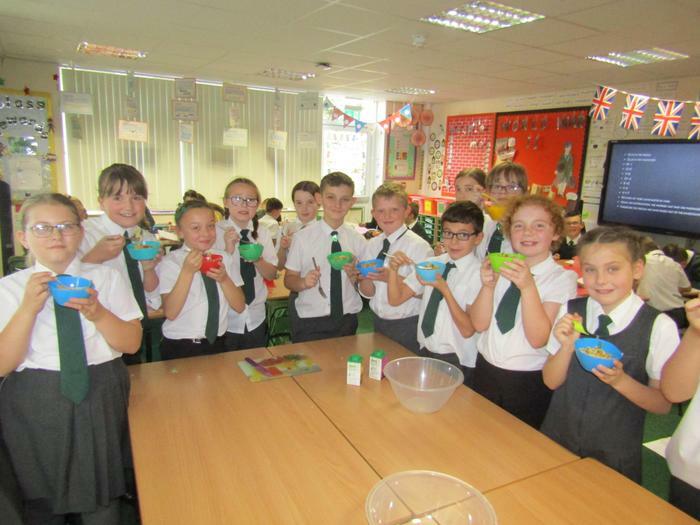 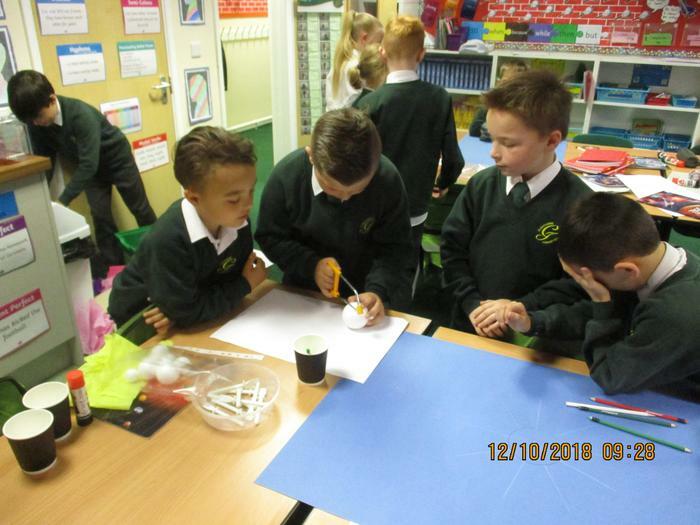 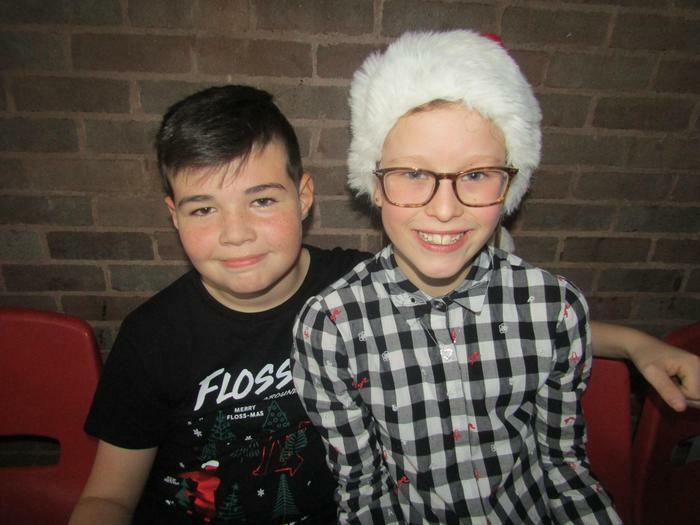 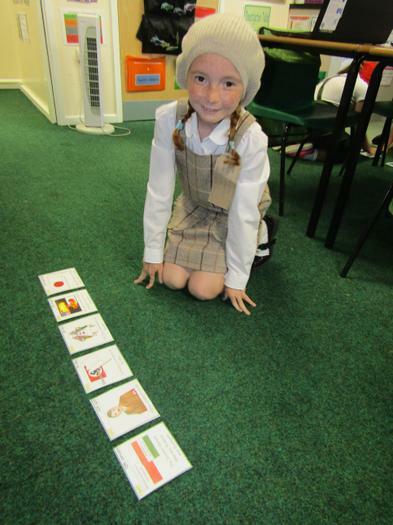 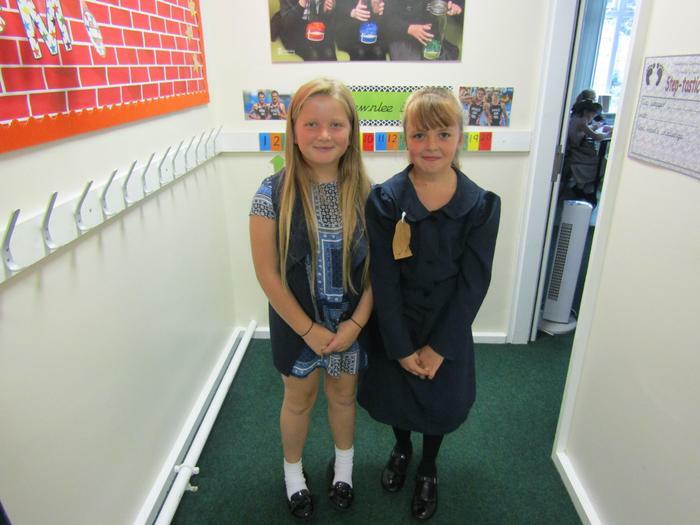 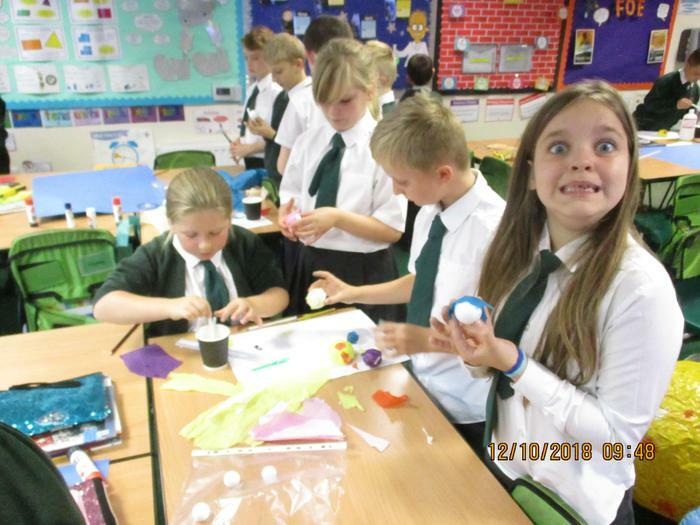 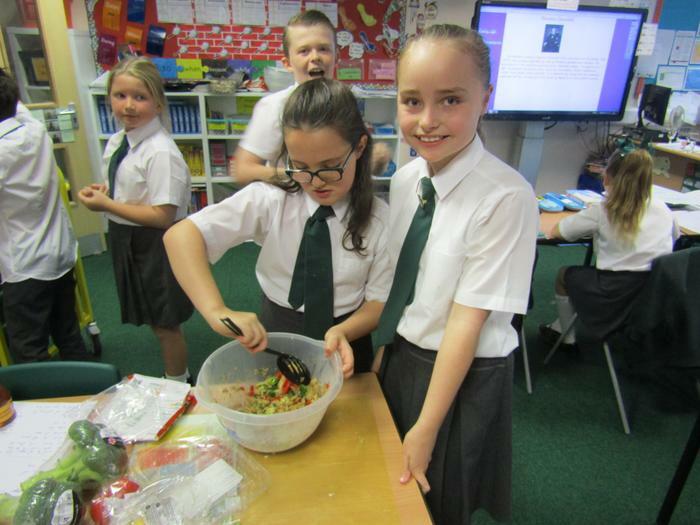 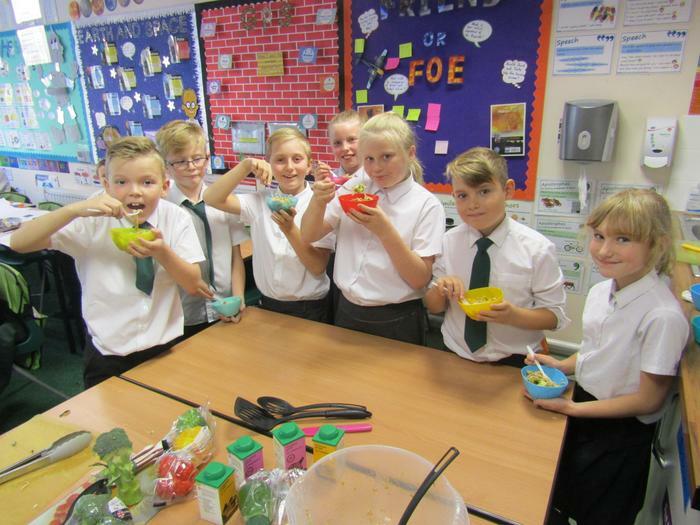 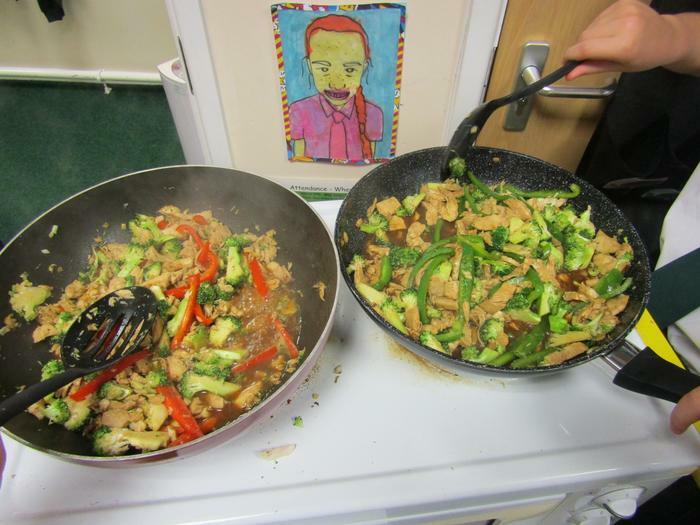 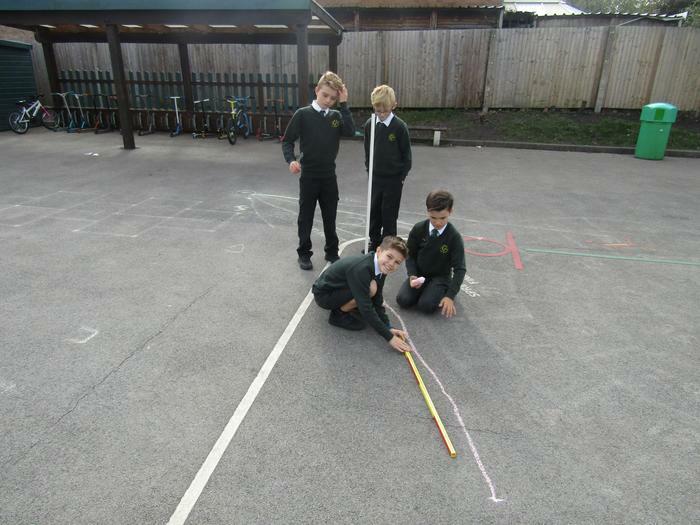 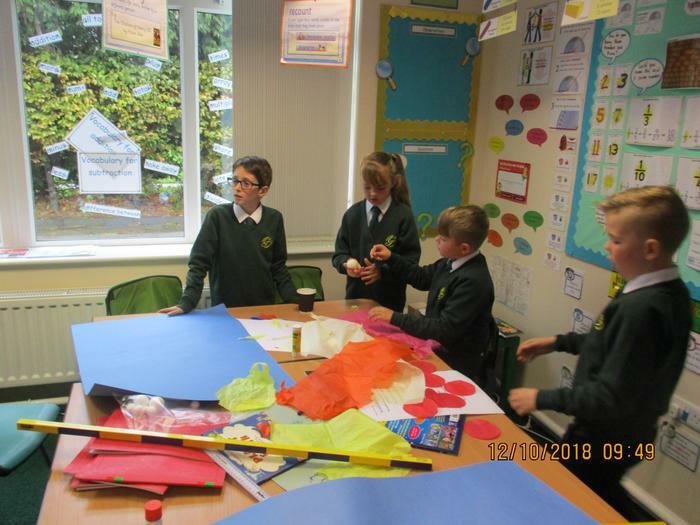 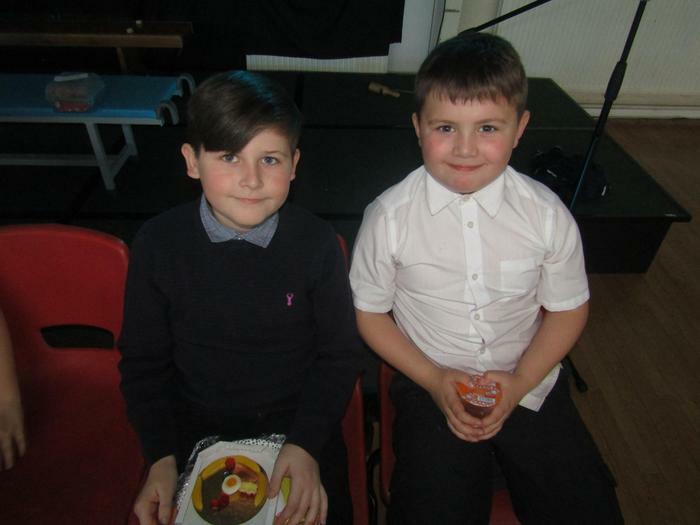 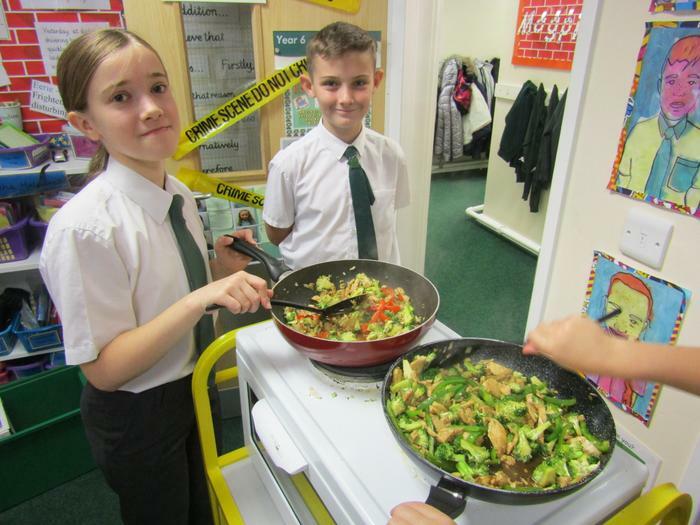 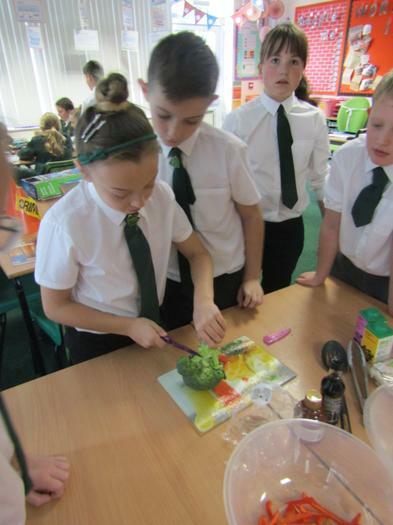 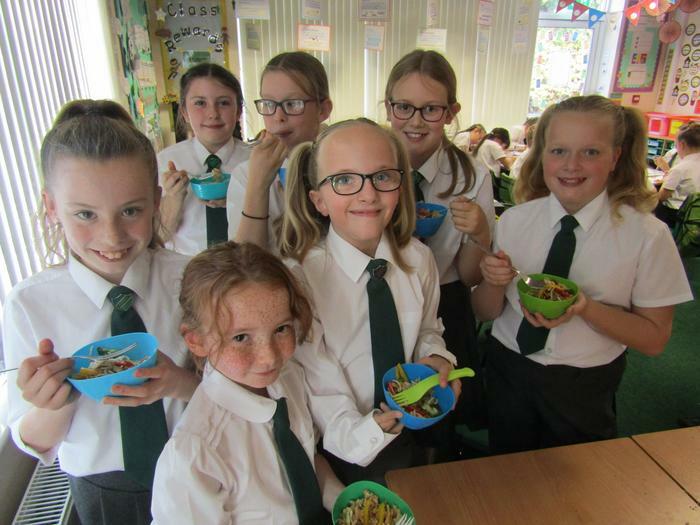 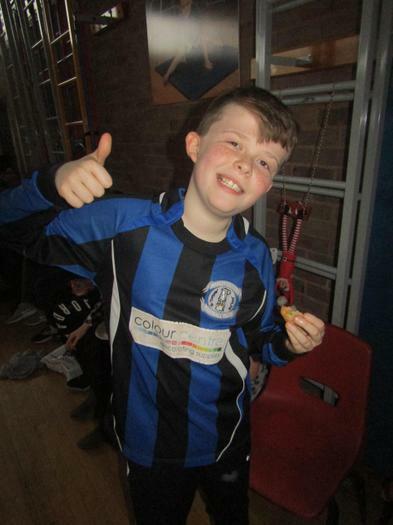 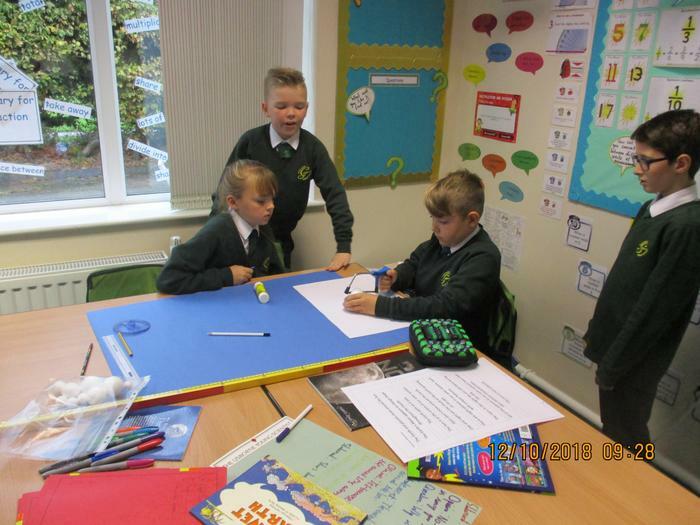 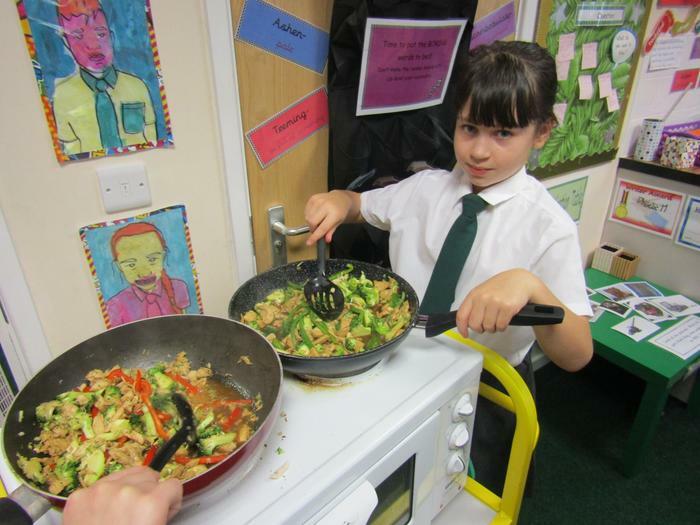 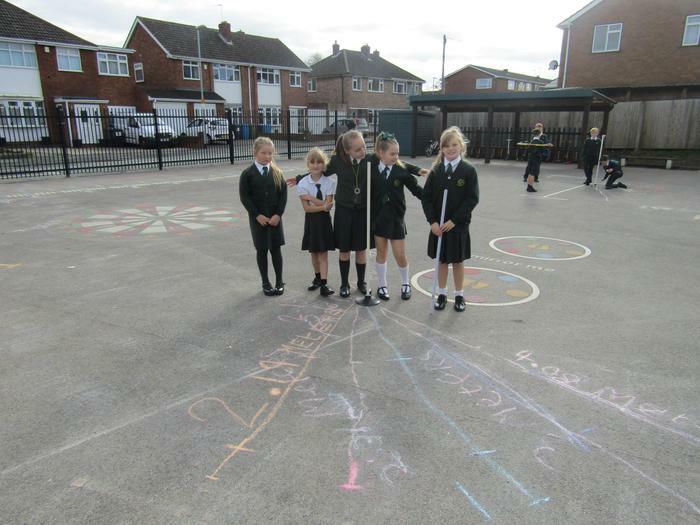 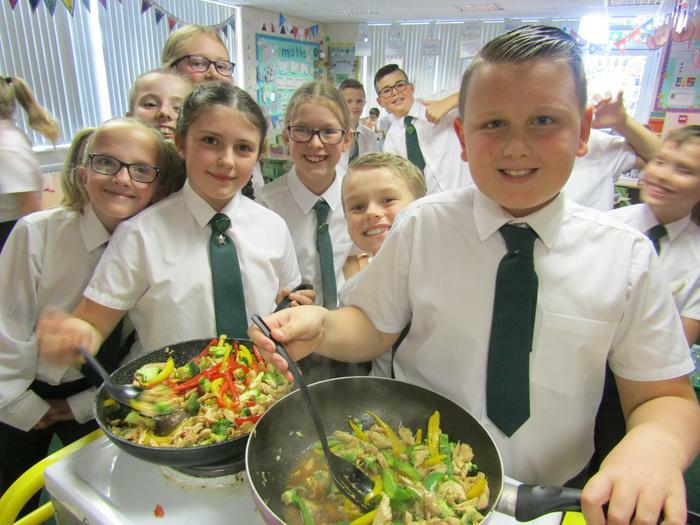 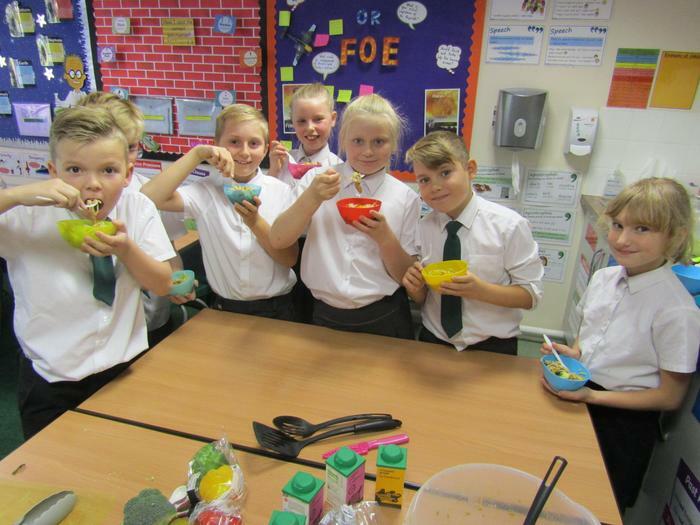 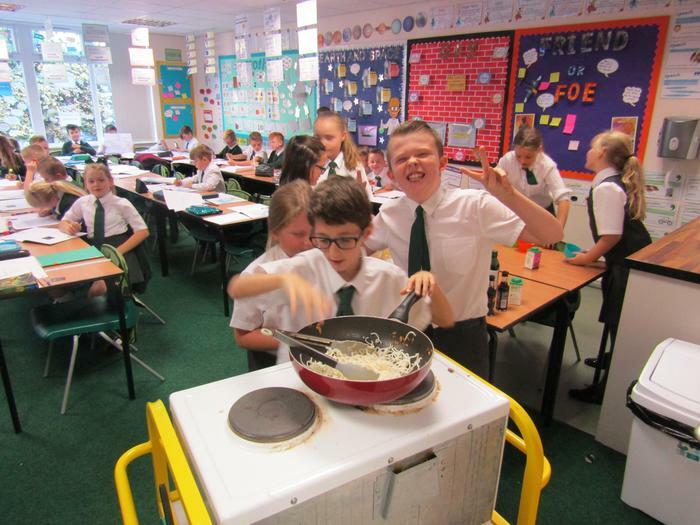 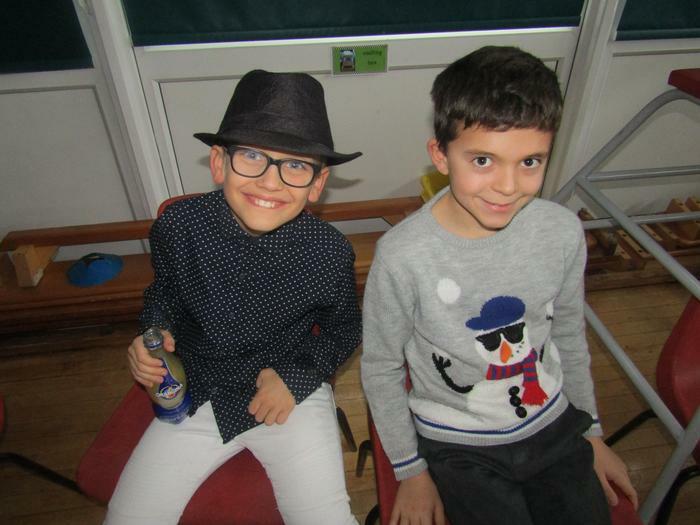 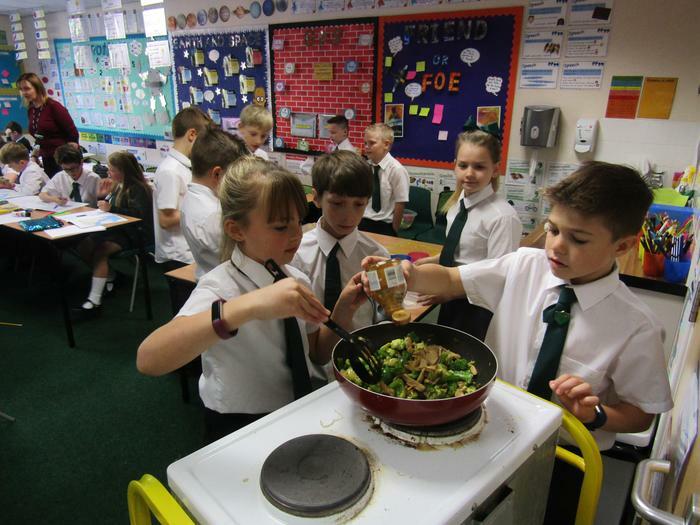 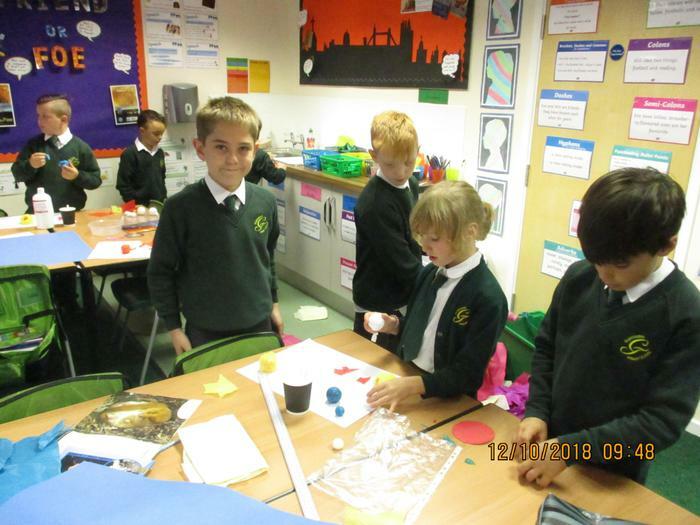 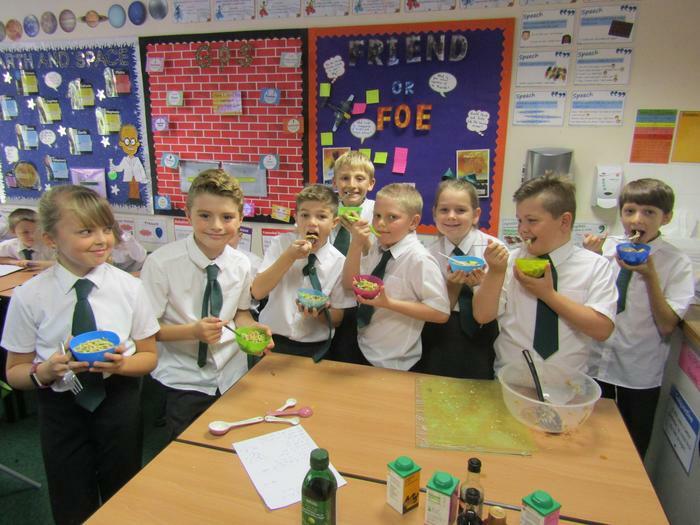 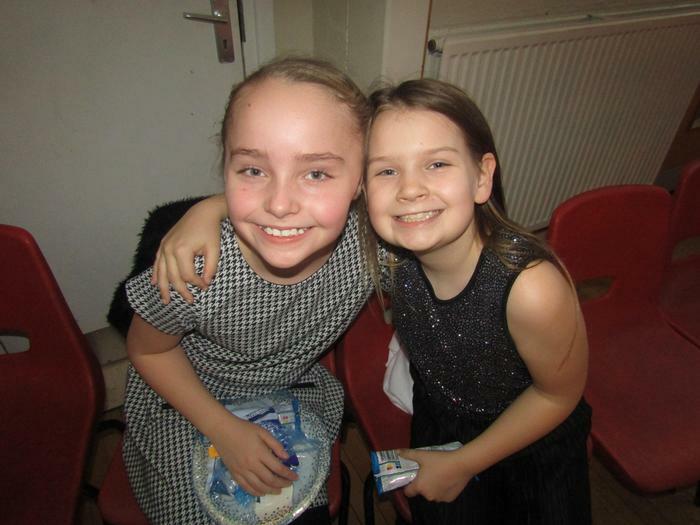 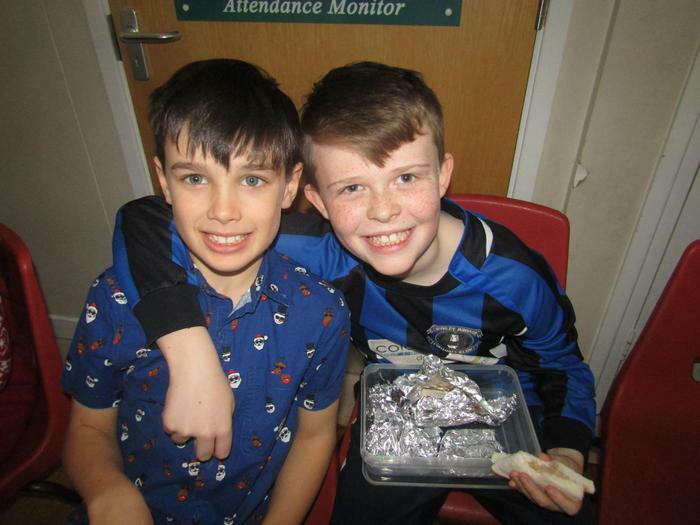 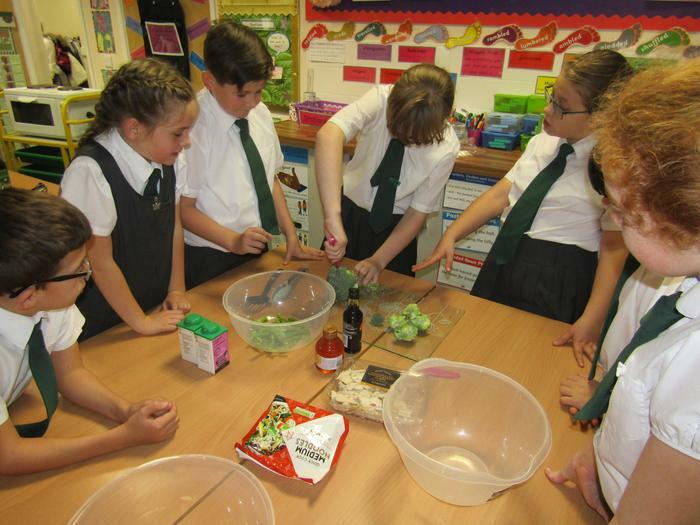 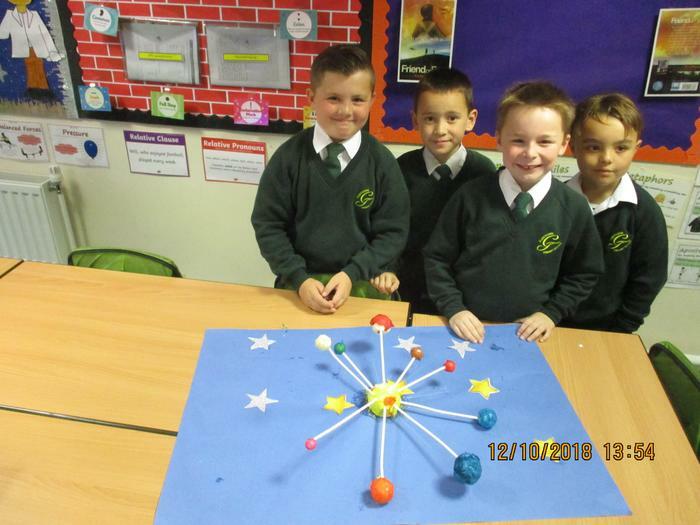 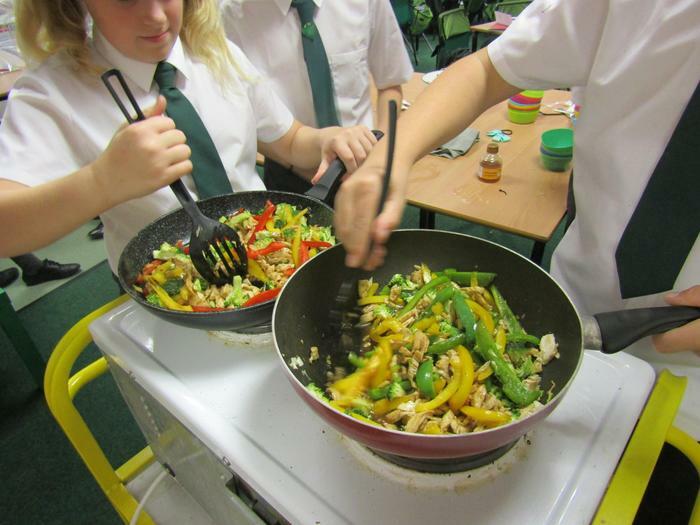 Have a look at our pictures to see what we have been up to since September. 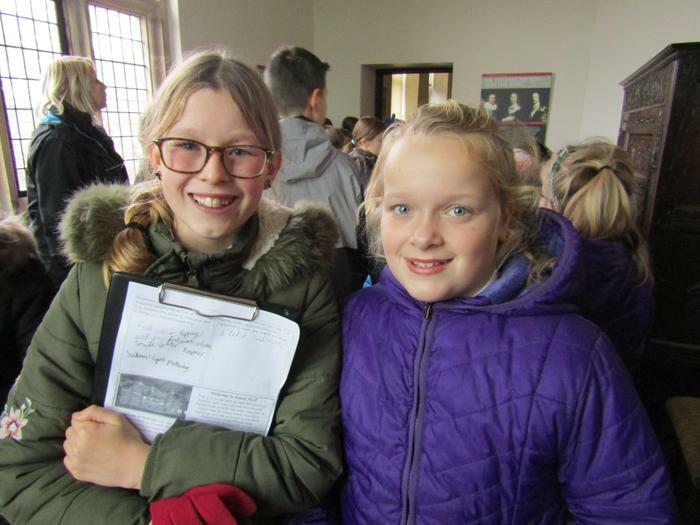 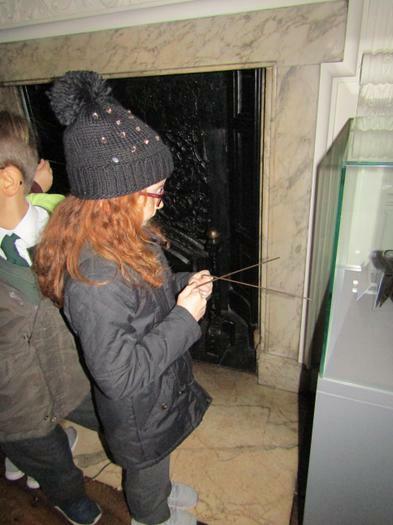 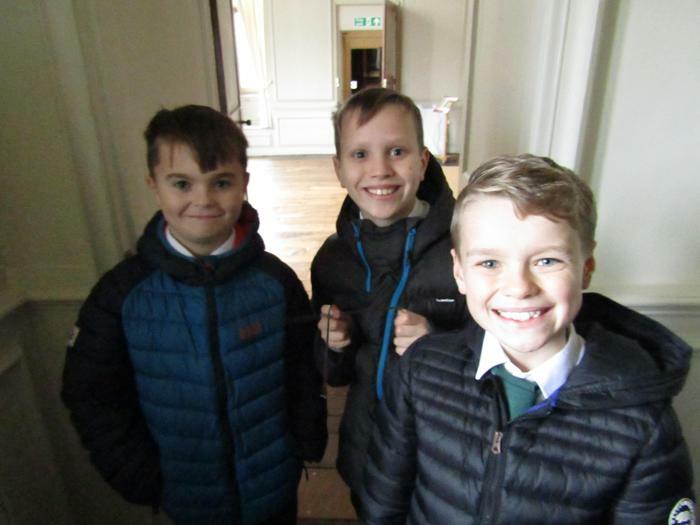 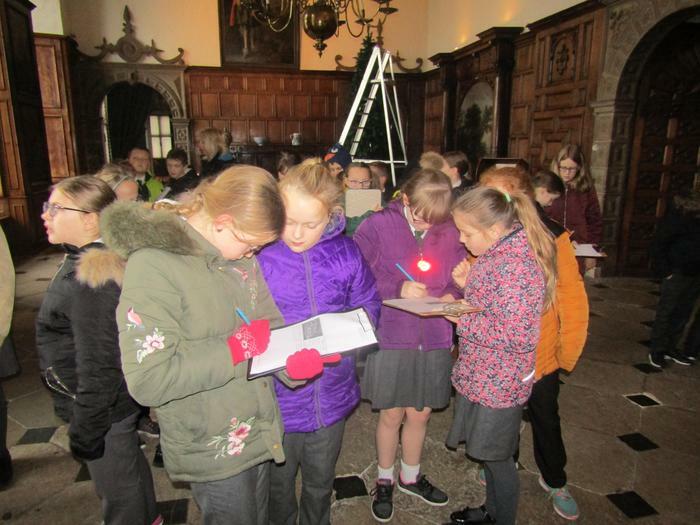 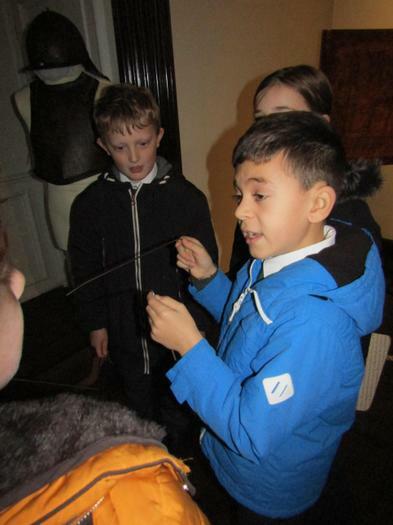 Year 6 had a fabulous time hunting for ghosts at Aston Hall. 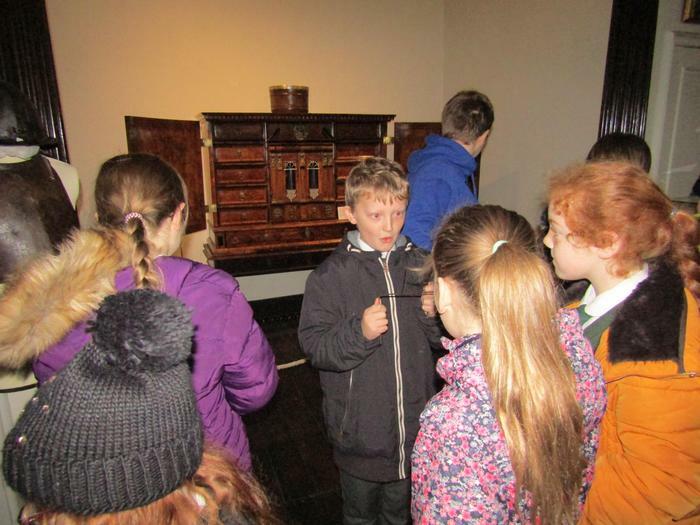 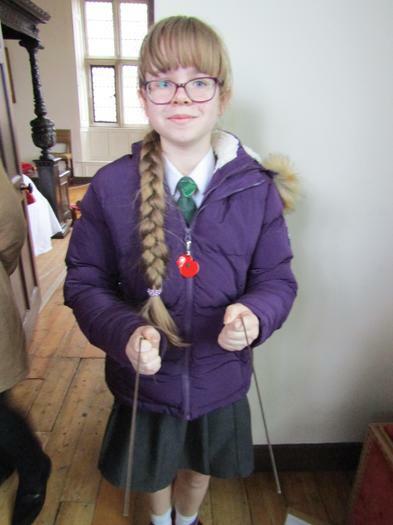 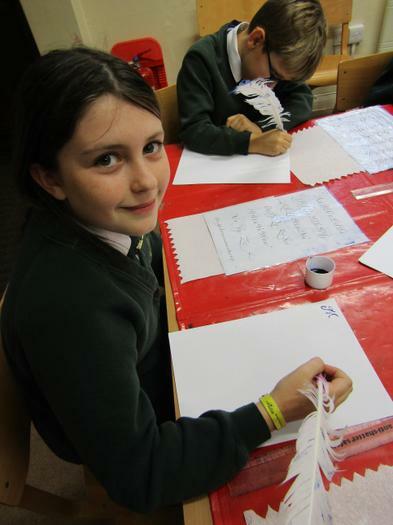 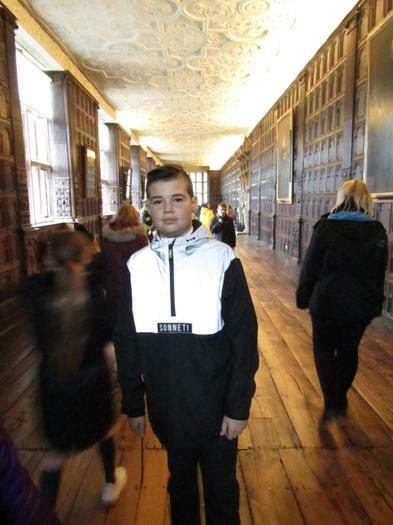 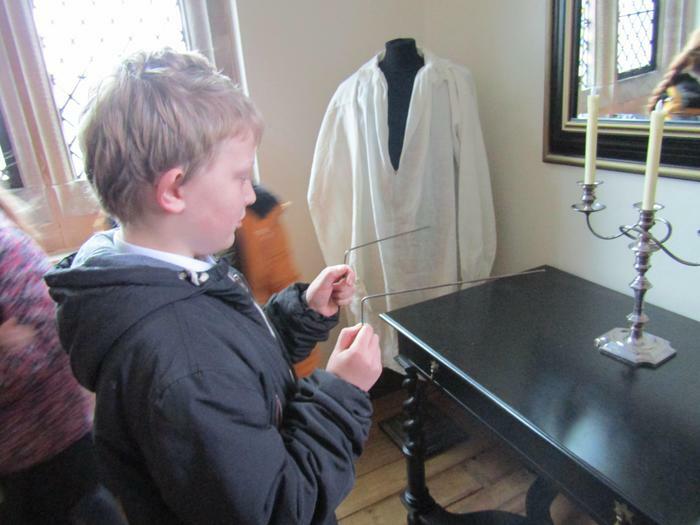 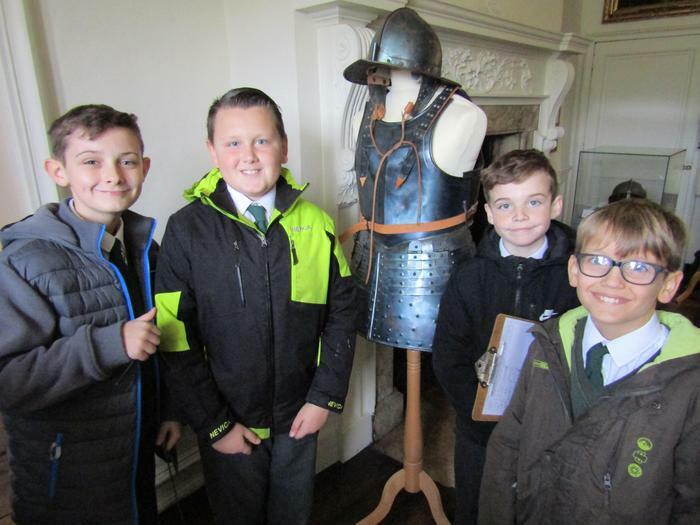 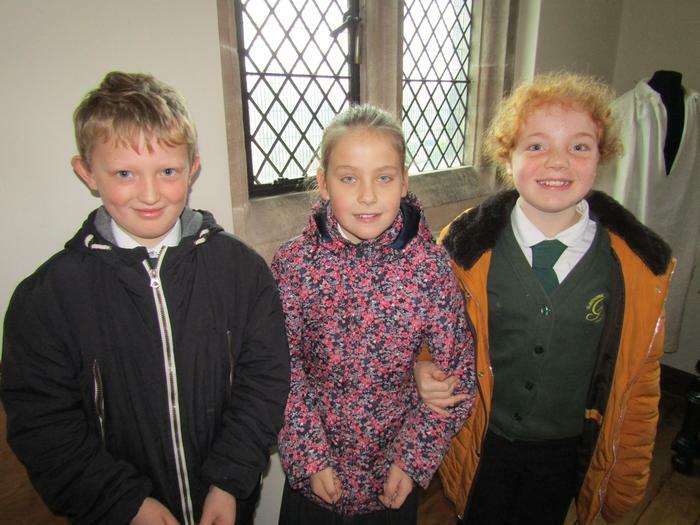 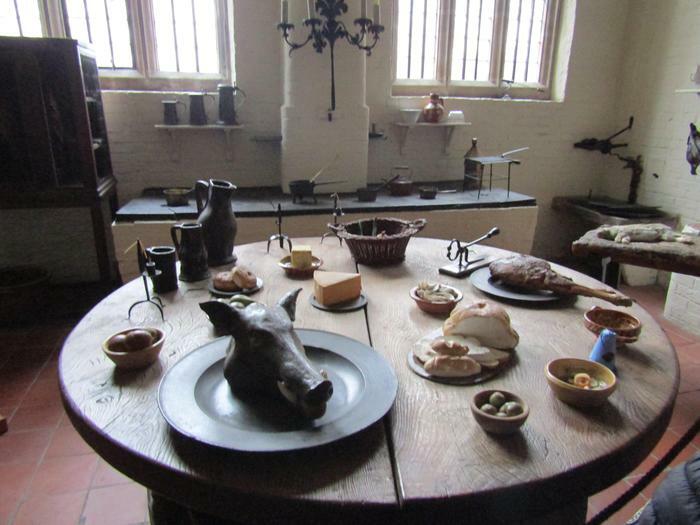 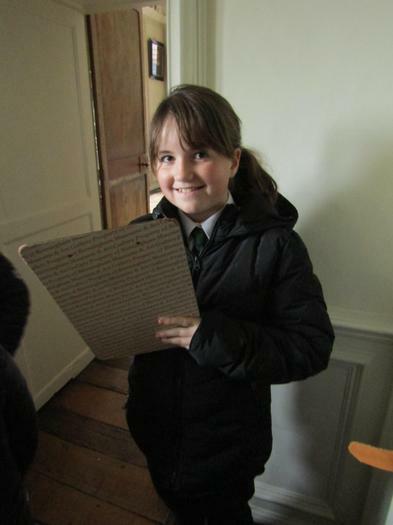 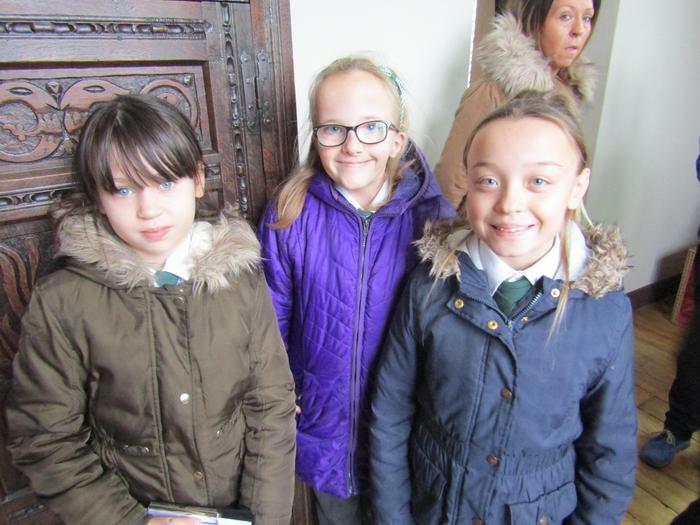 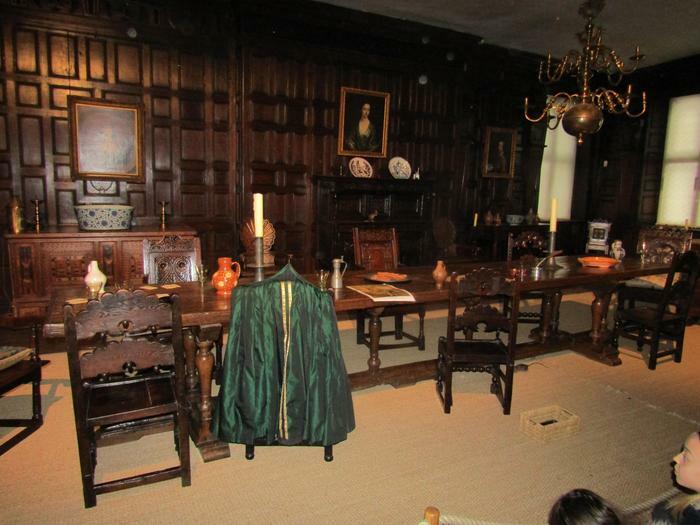 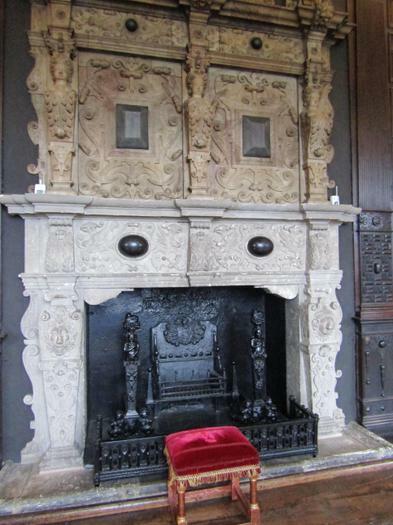 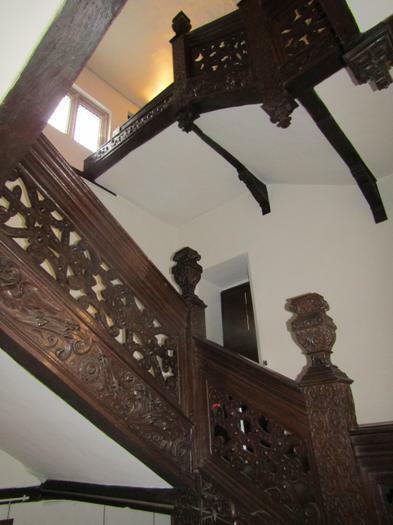 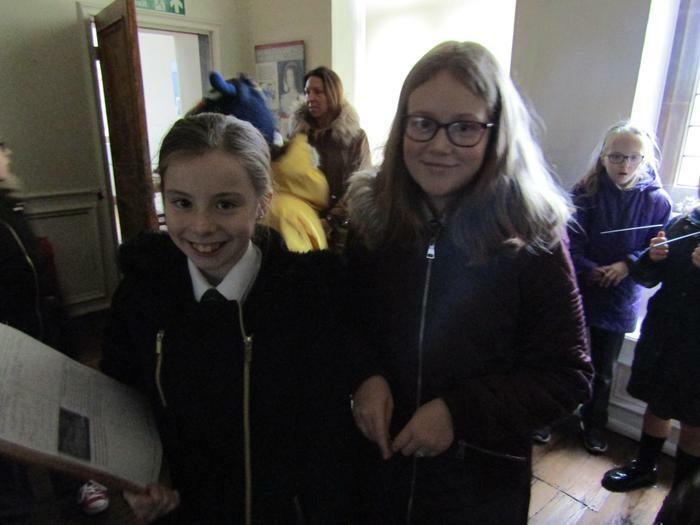 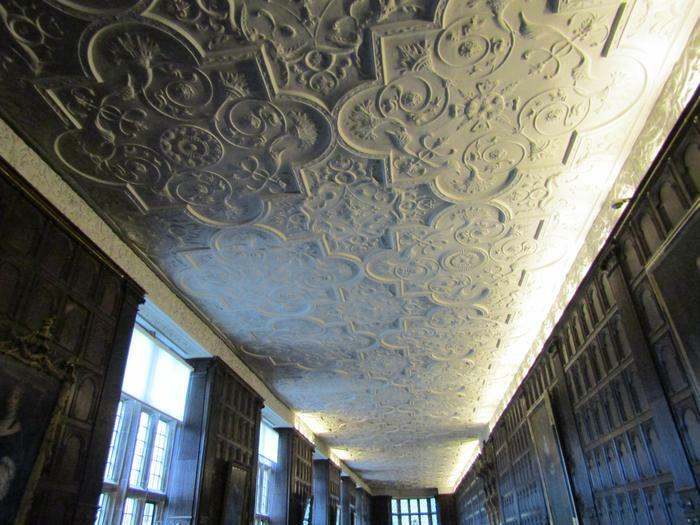 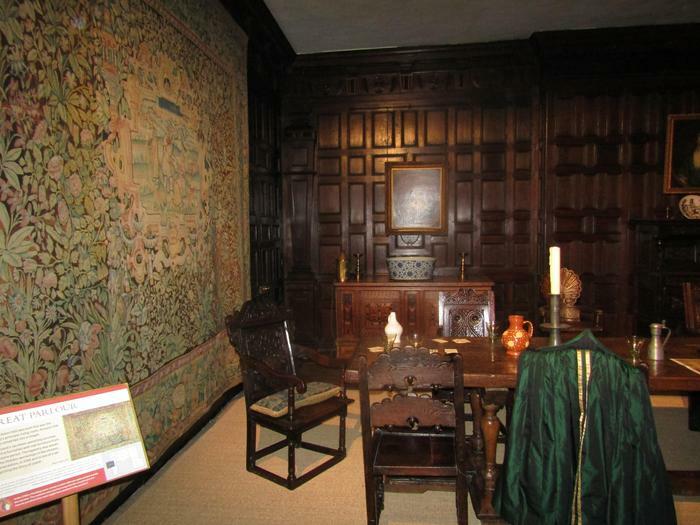 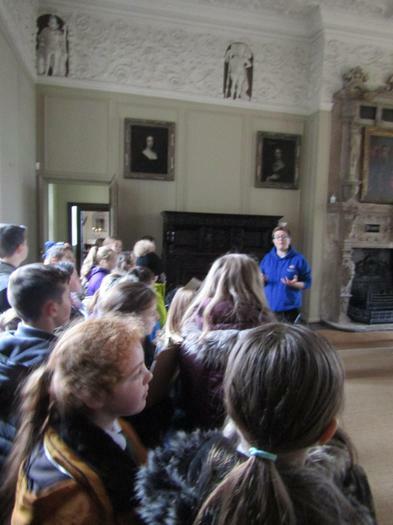 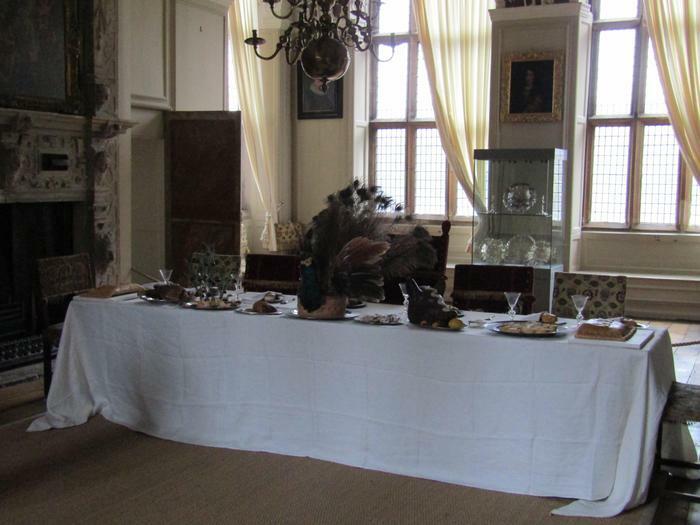 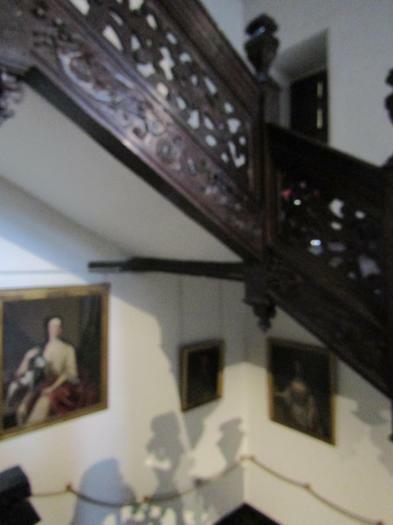 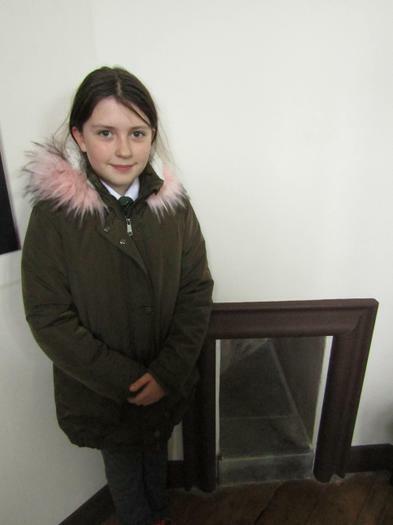 We learnt about local history and the many people who had lived (and died) in Aston Hall. 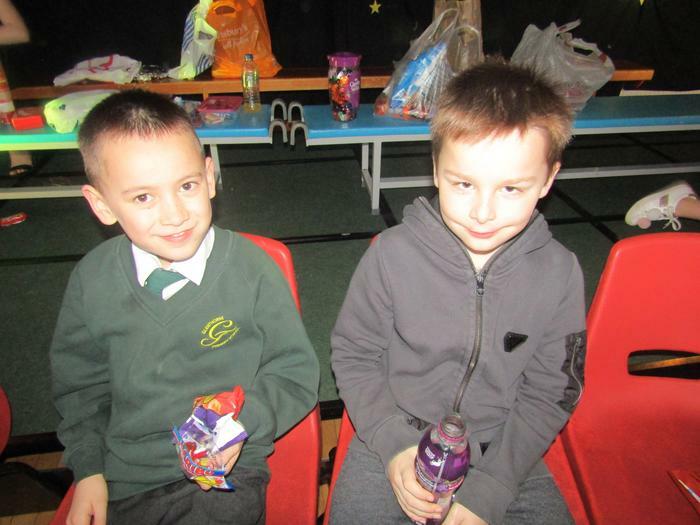 It was a spooktacular day! 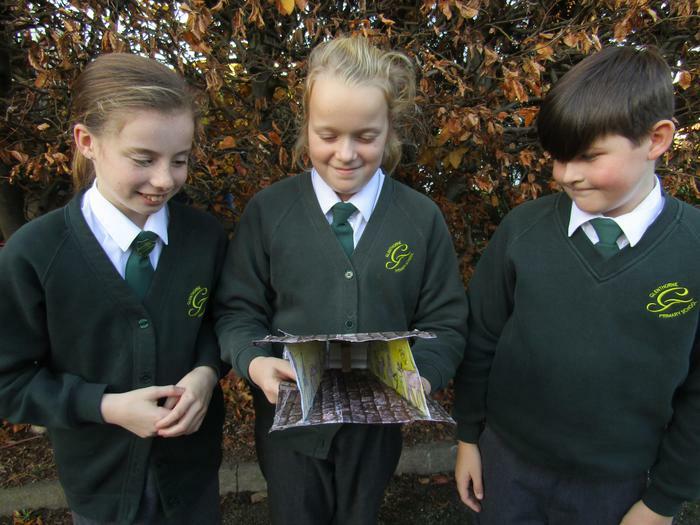 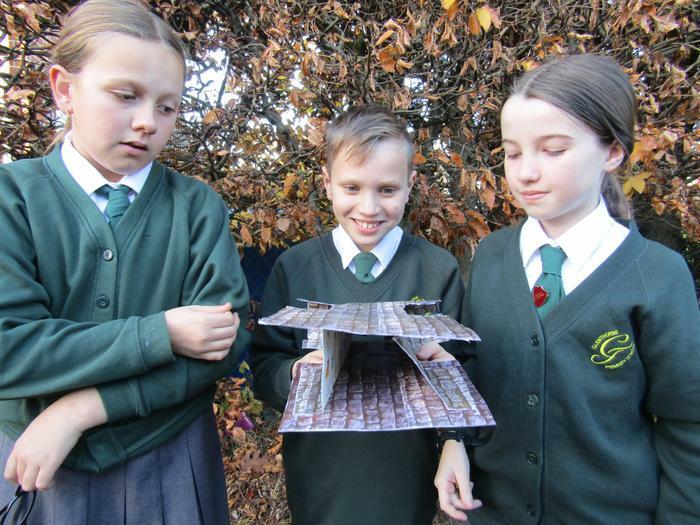 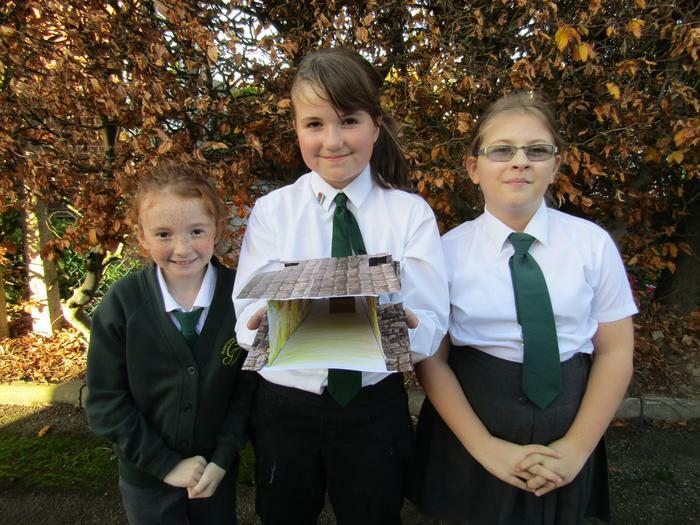 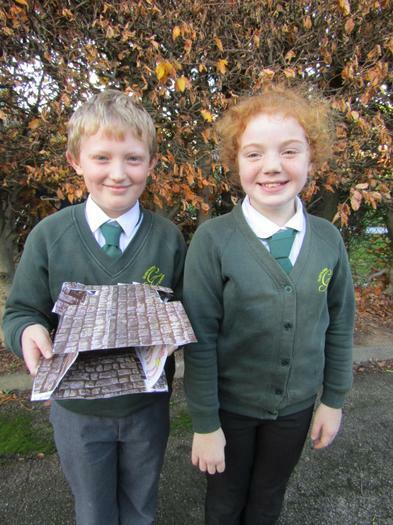 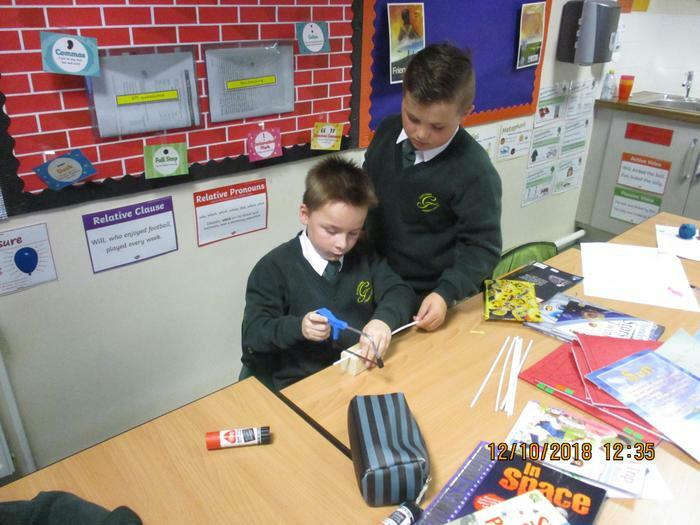 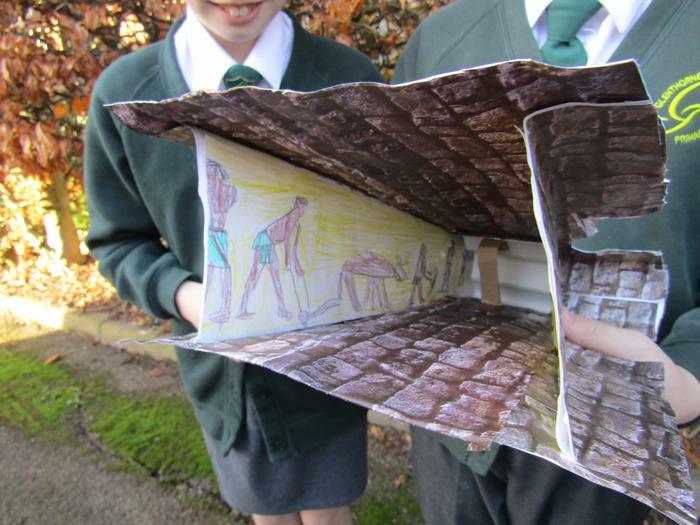 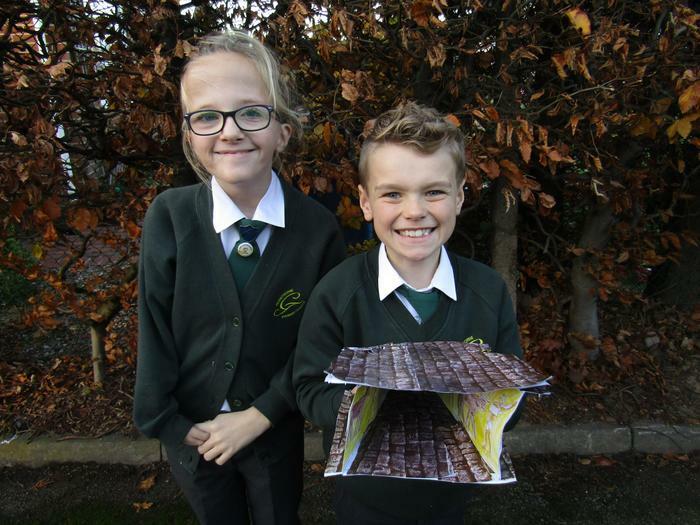 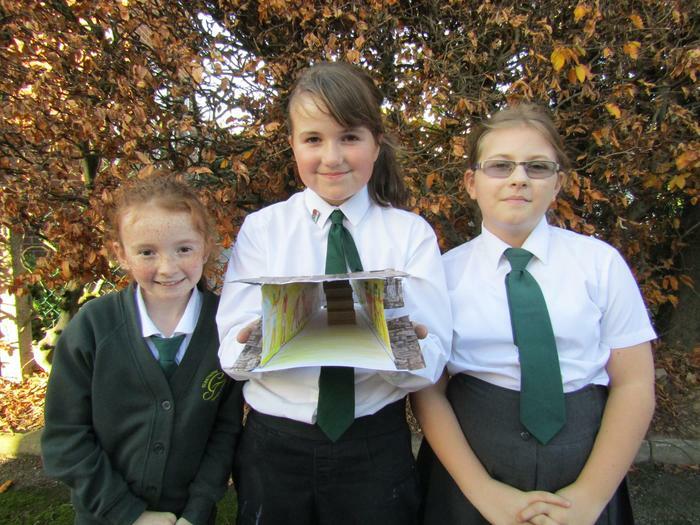 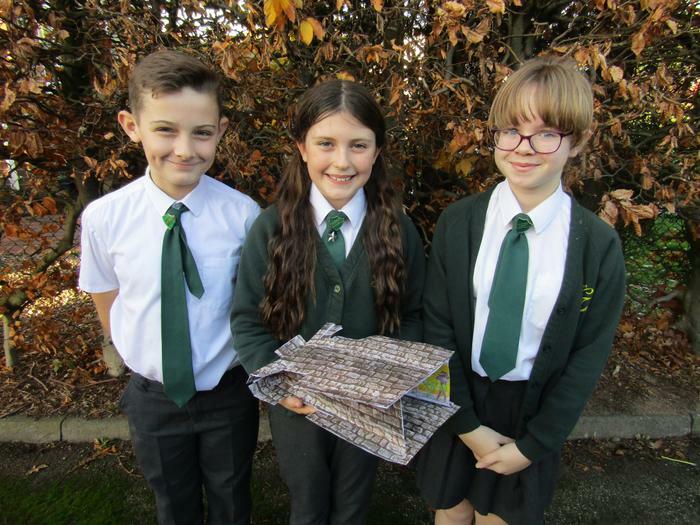 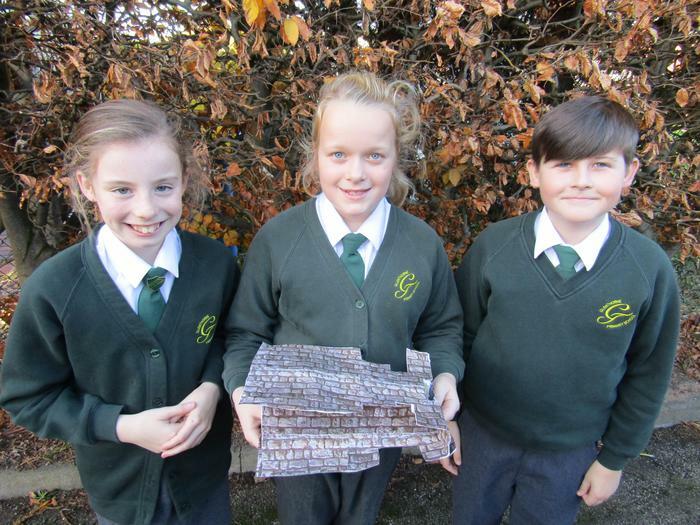 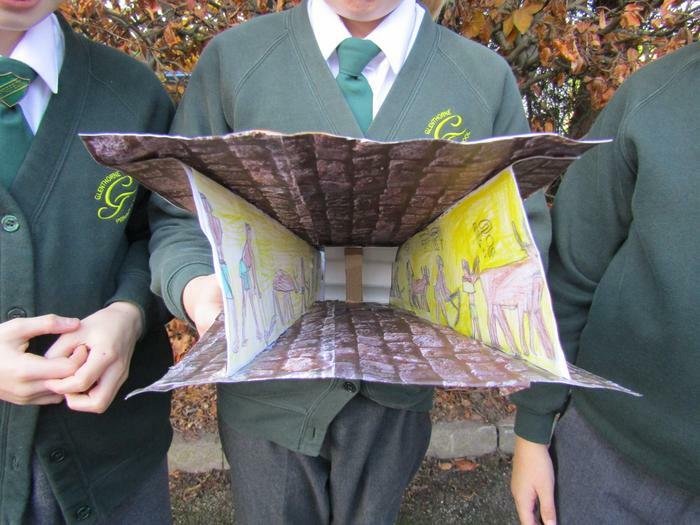 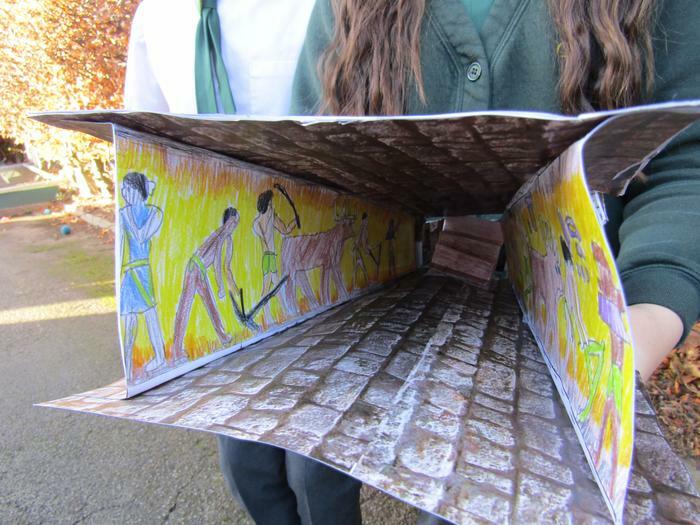 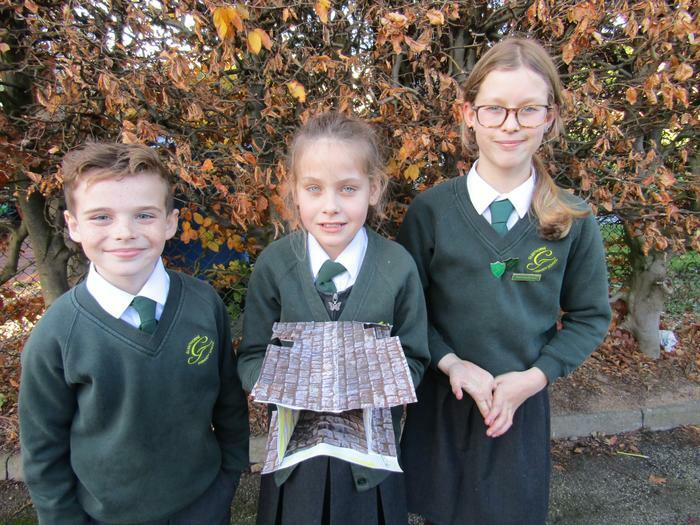 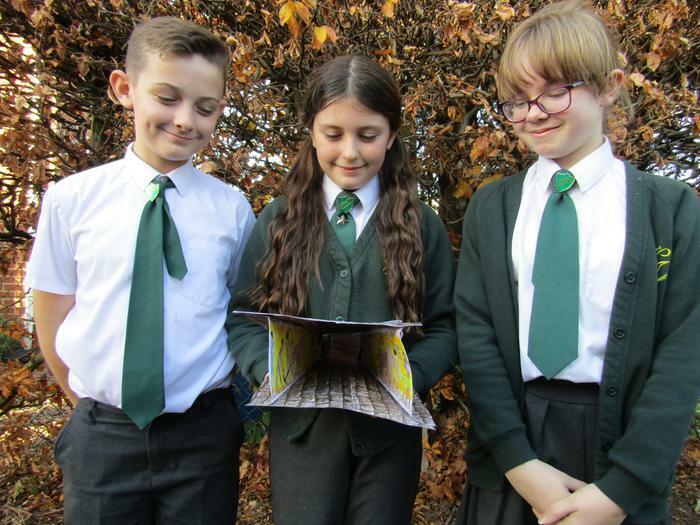 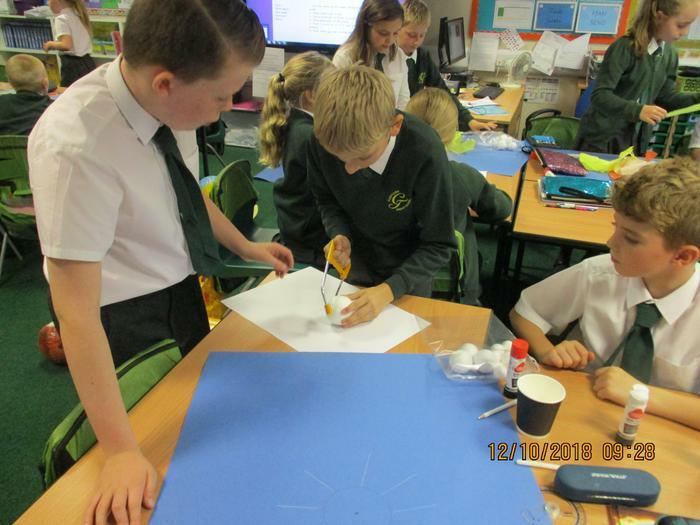 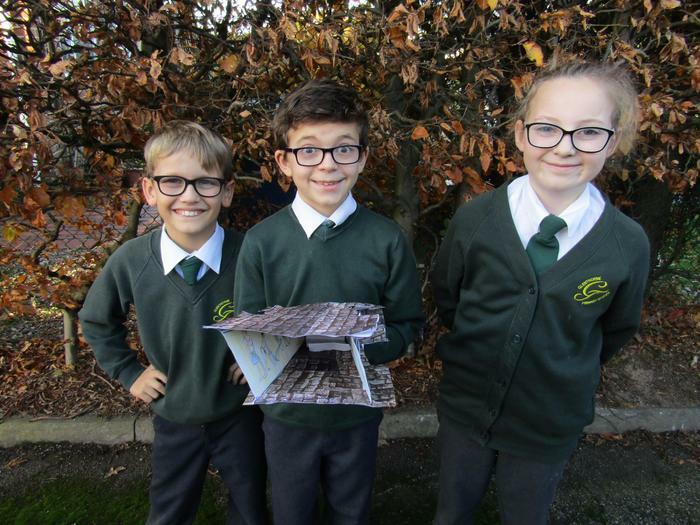 Year 6 enjoyed constructing replicas of Ancient Egyptian tombs. 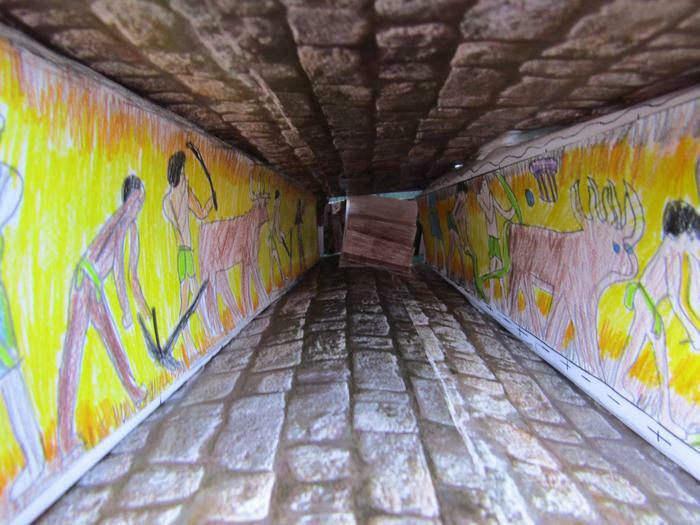 We used card to construct the tomb and then used perspective to give the illusion that the hieroglyphics were large in size. 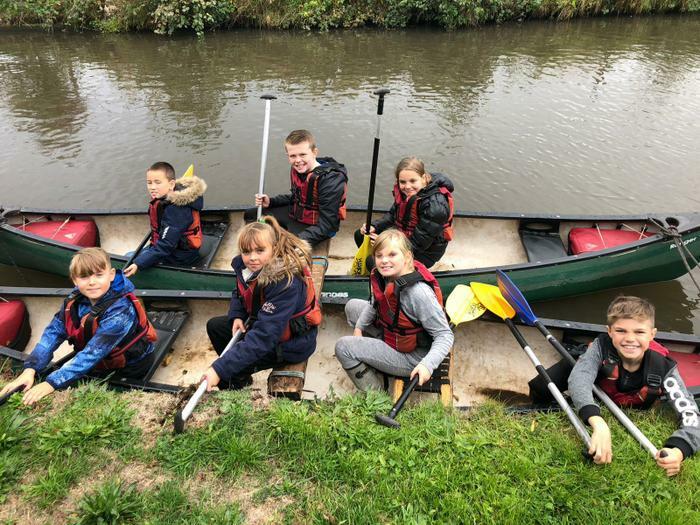 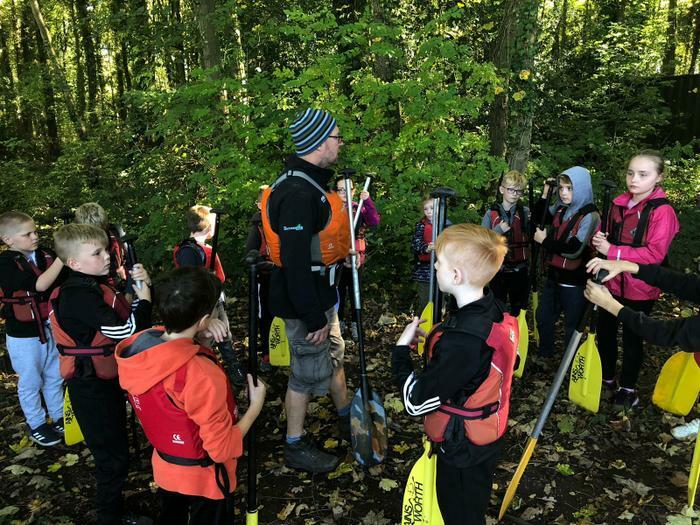 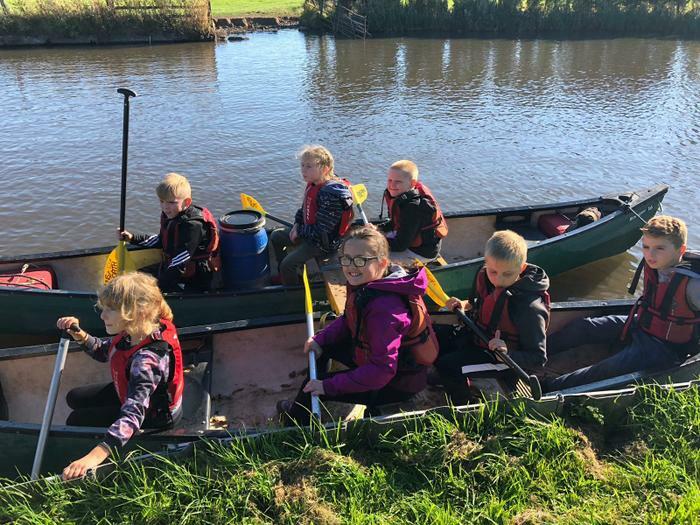 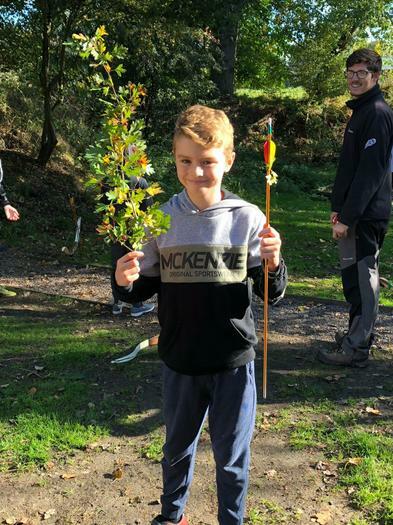 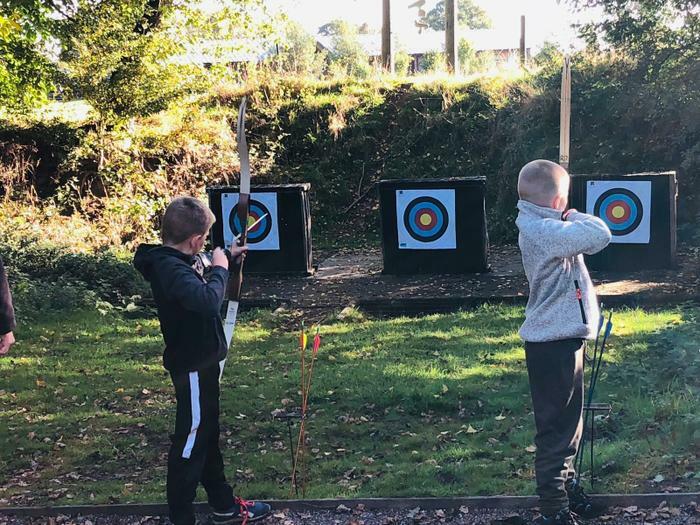 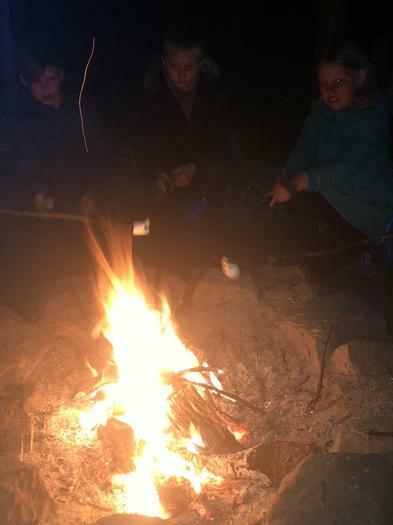 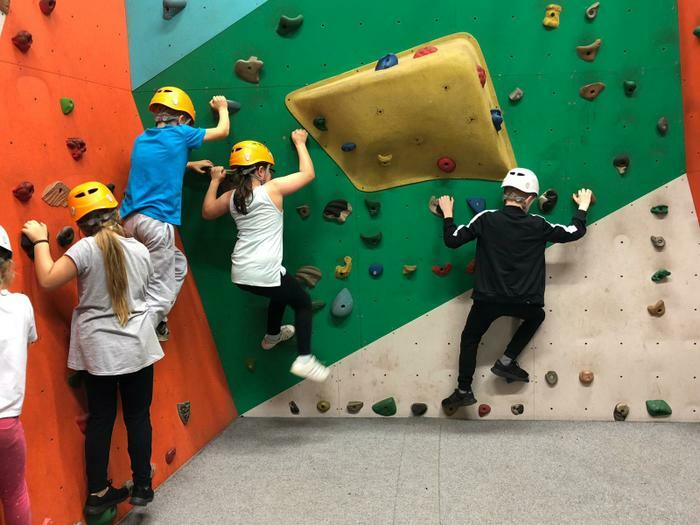 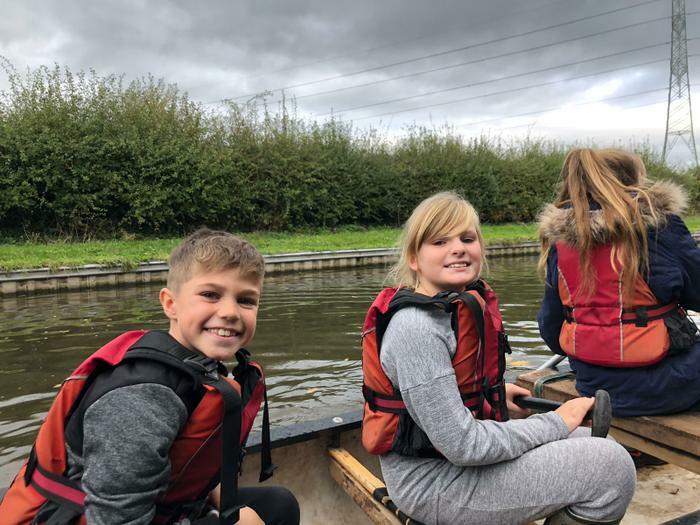 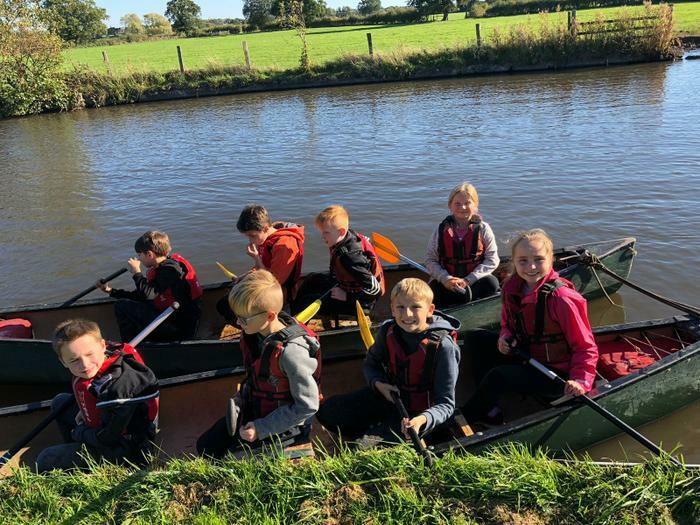 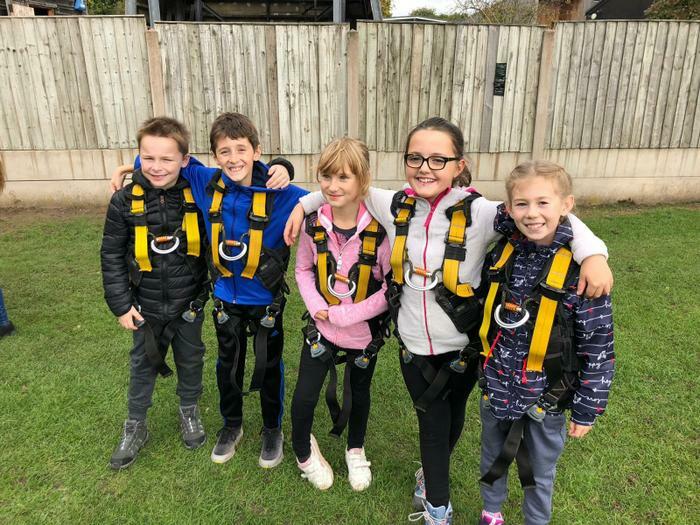 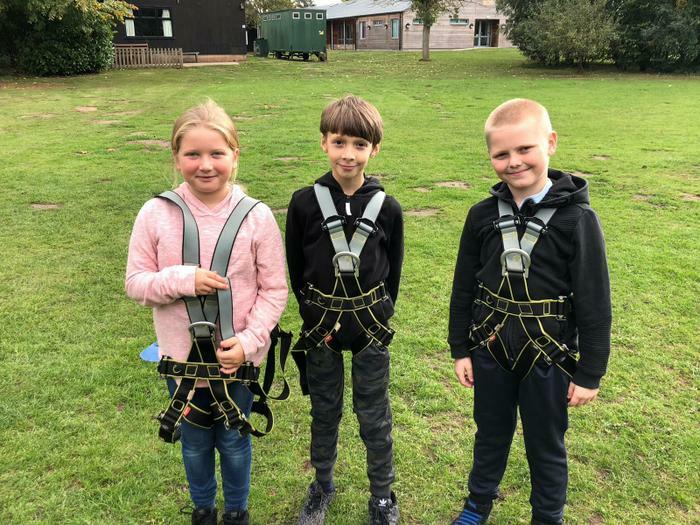 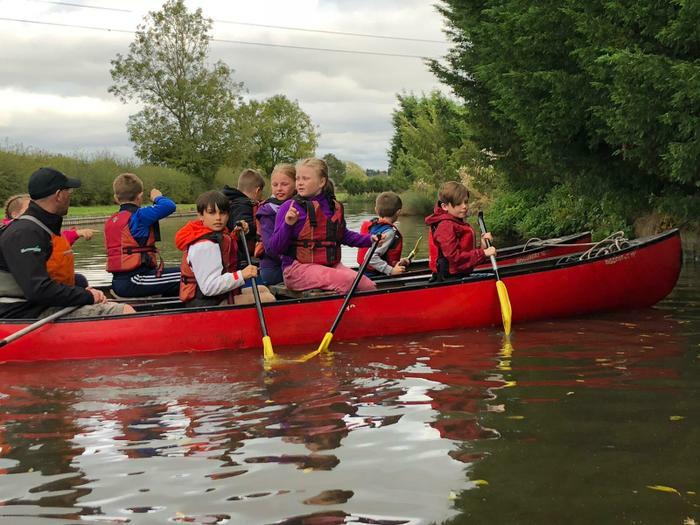 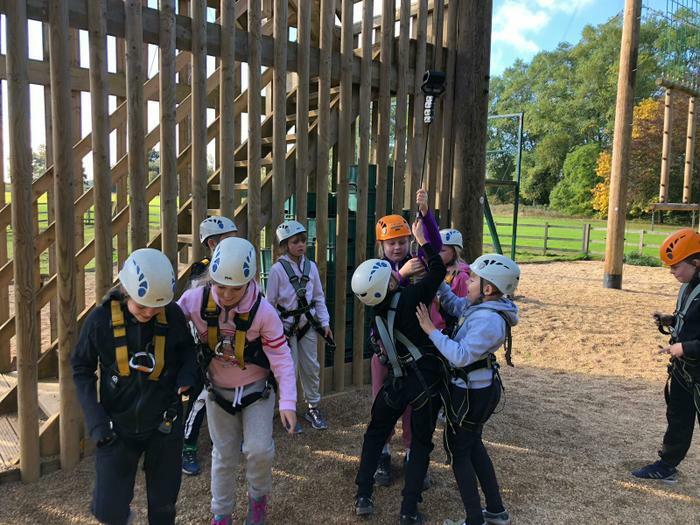 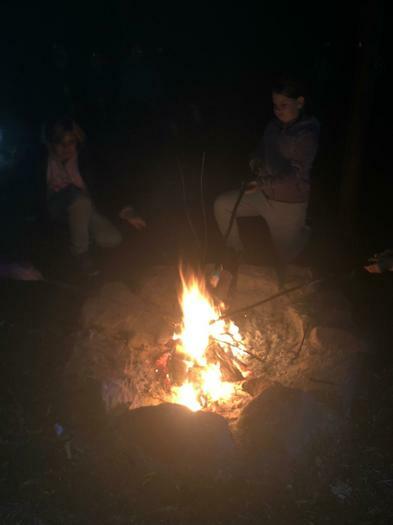 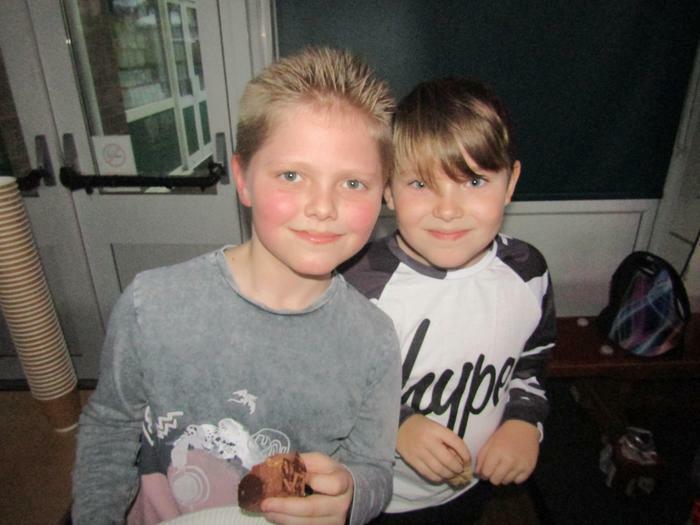 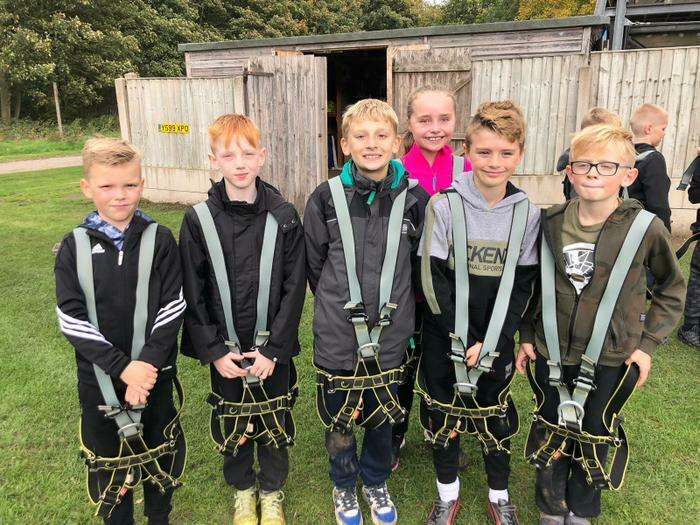 Year 5 children had an amazing time at Laches Wood. 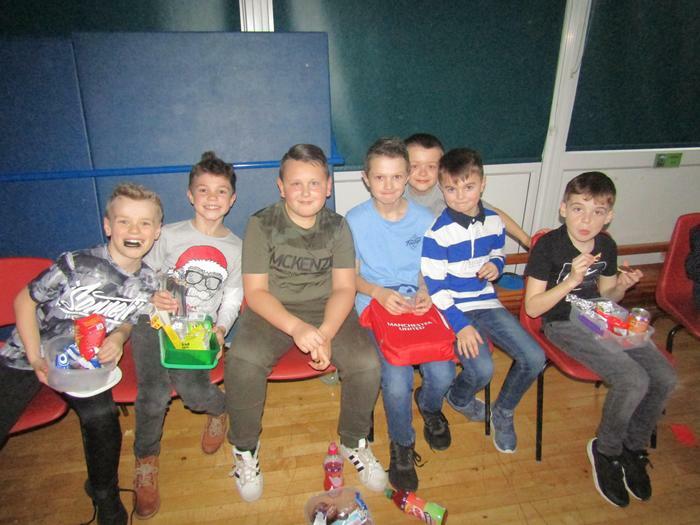 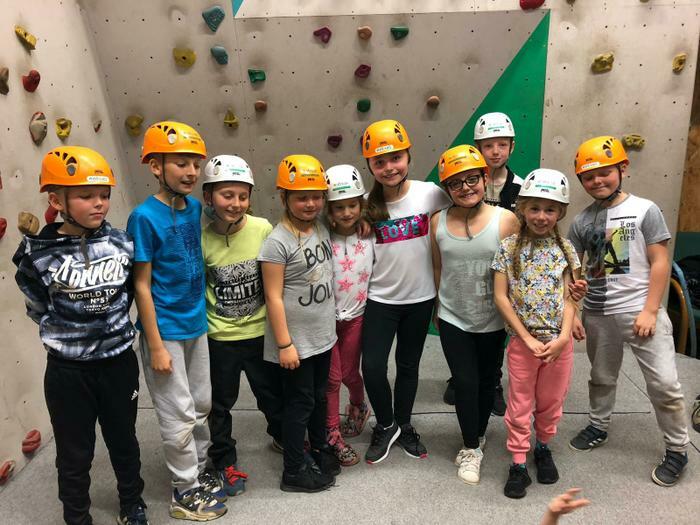 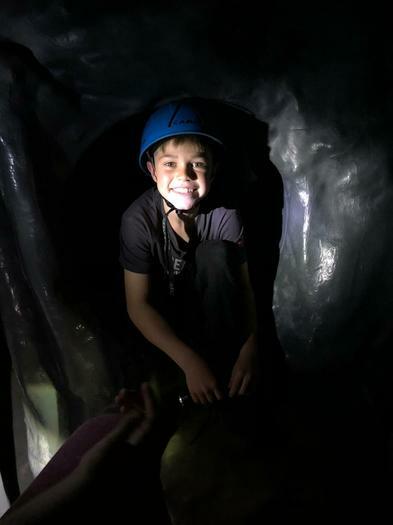 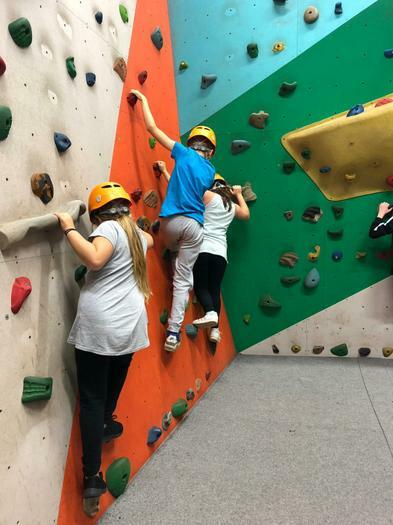 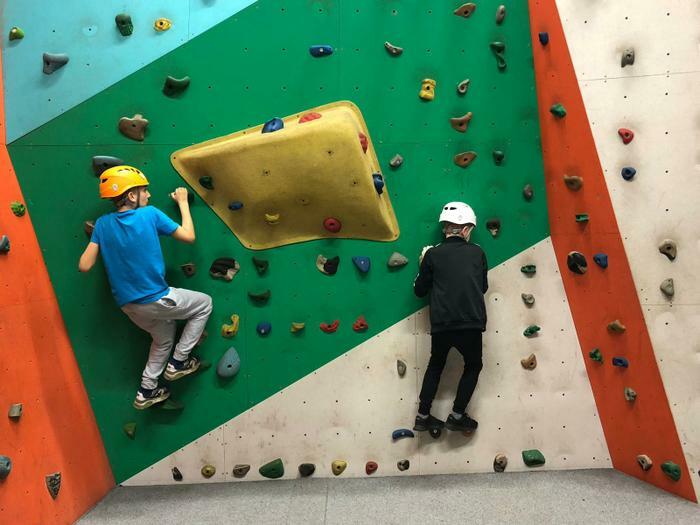 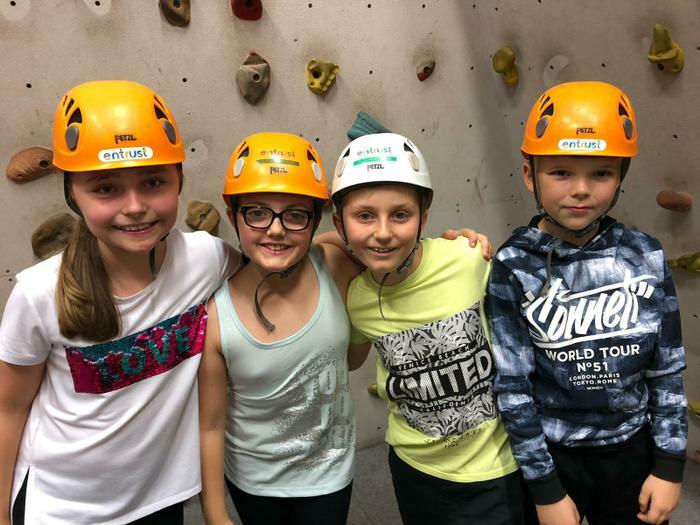 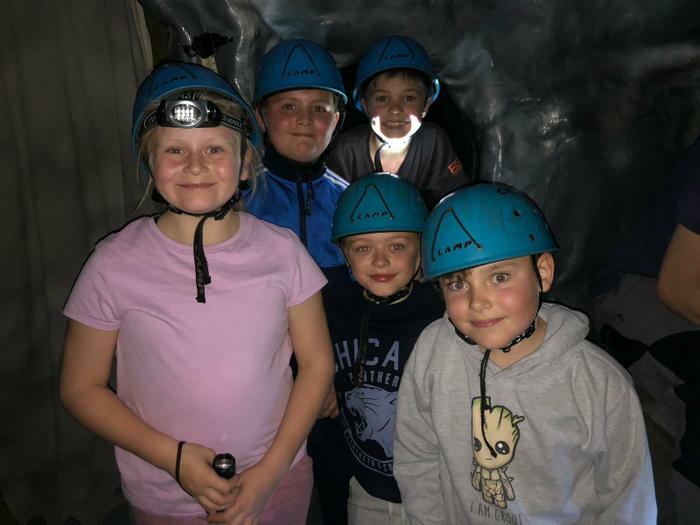 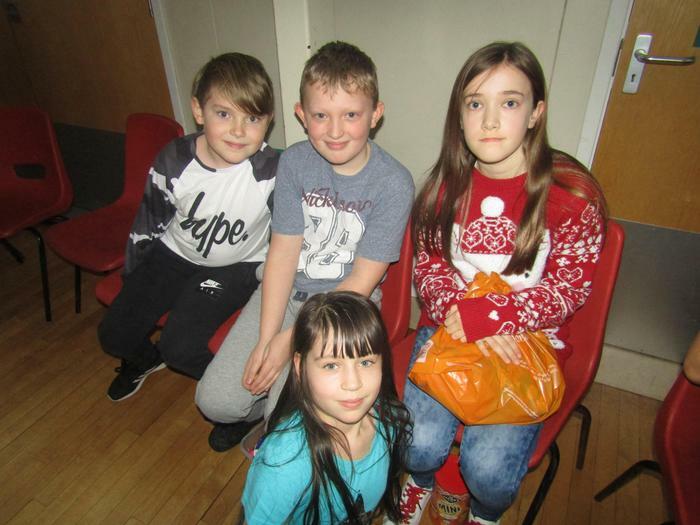 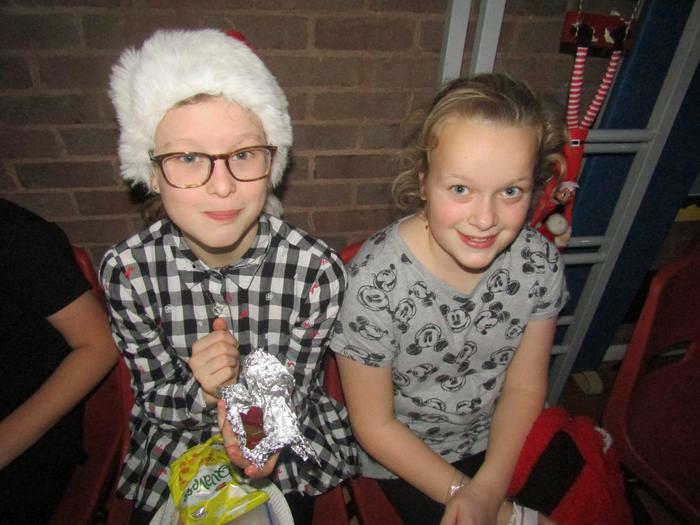 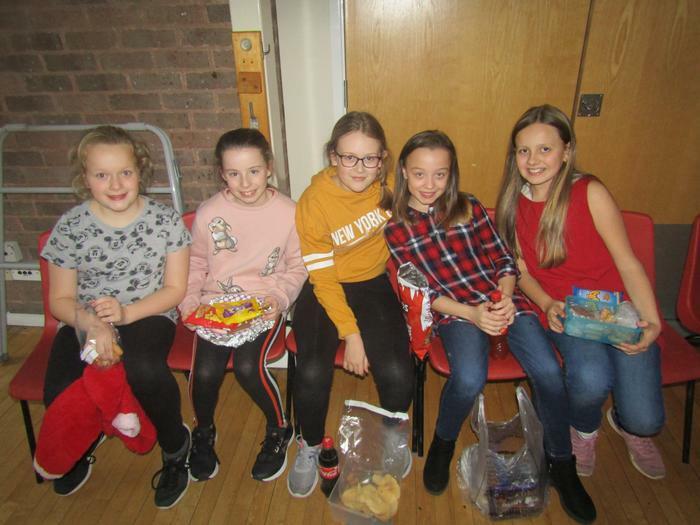 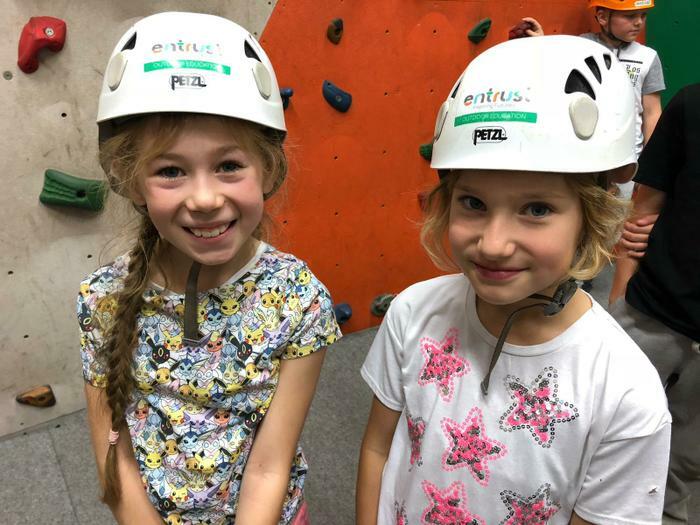 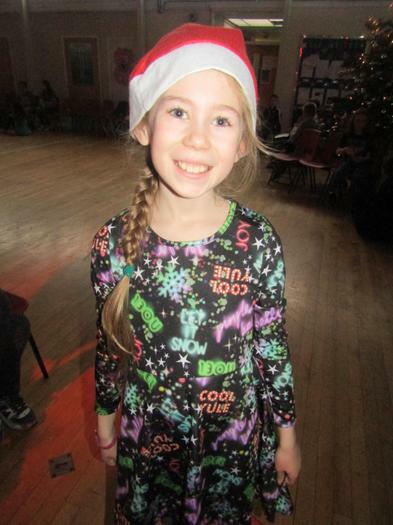 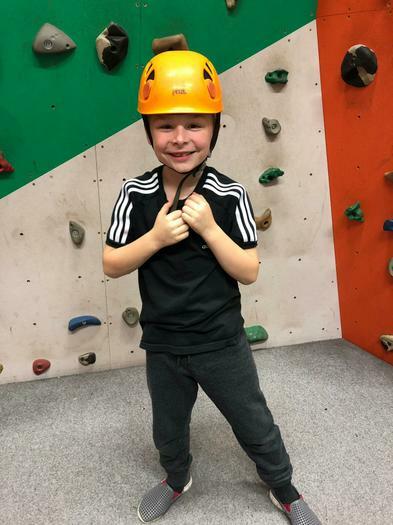 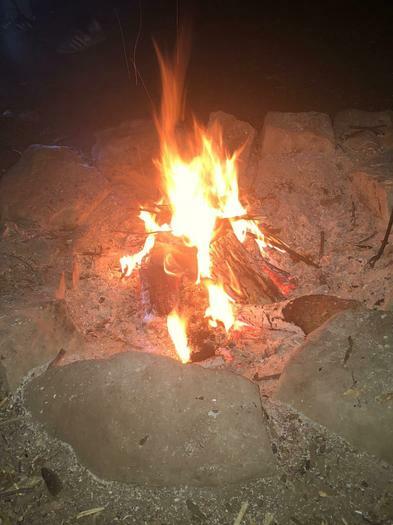 They took part in lots of exciting activities; high ropes, canoeing, caving, climbing, archery and many more. 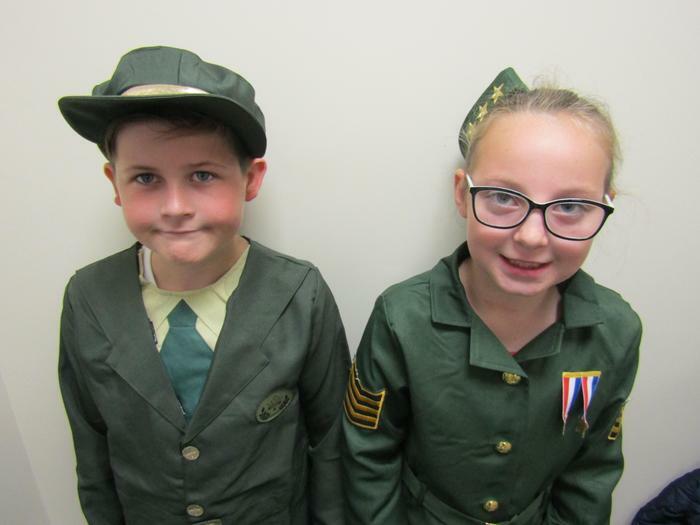 Congratulations to our new Head Boy and Head Girl! 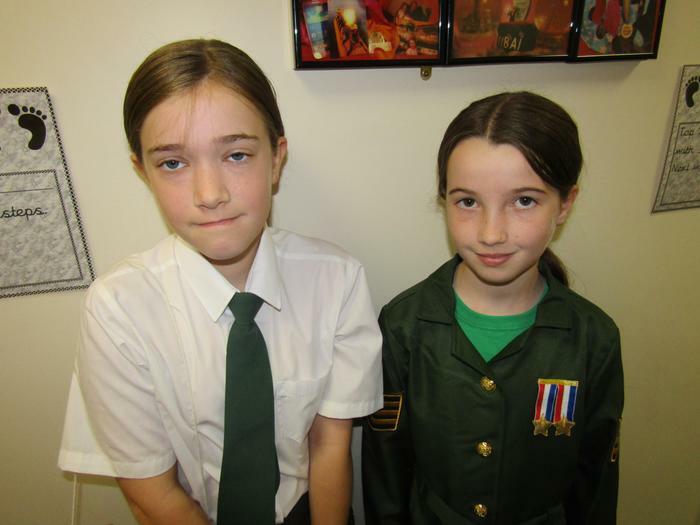 Well done to all the prefects who made excellent video applications. 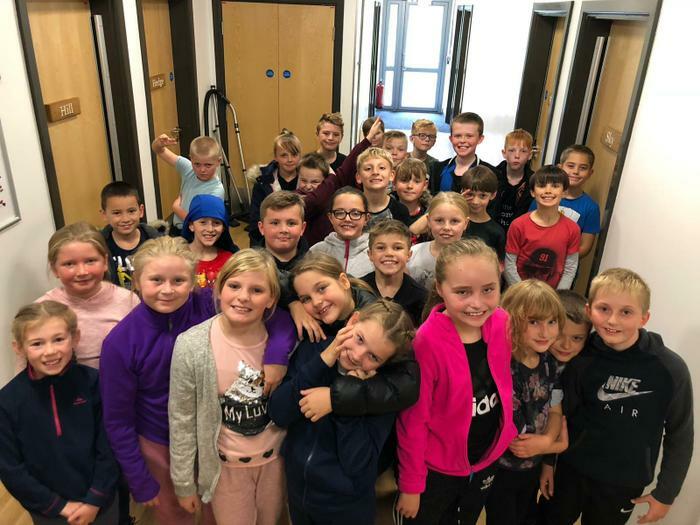 Gavin Williamson MP Visits Glenthorne! 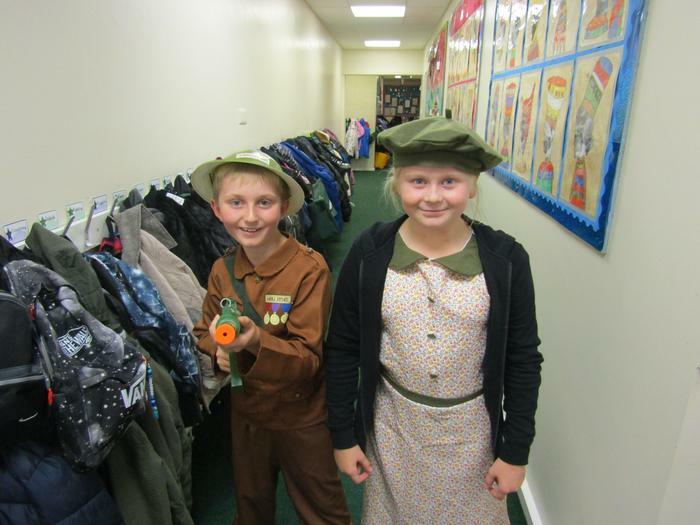 Gavin Williamson MP made a surprise visit to Glenthorne. 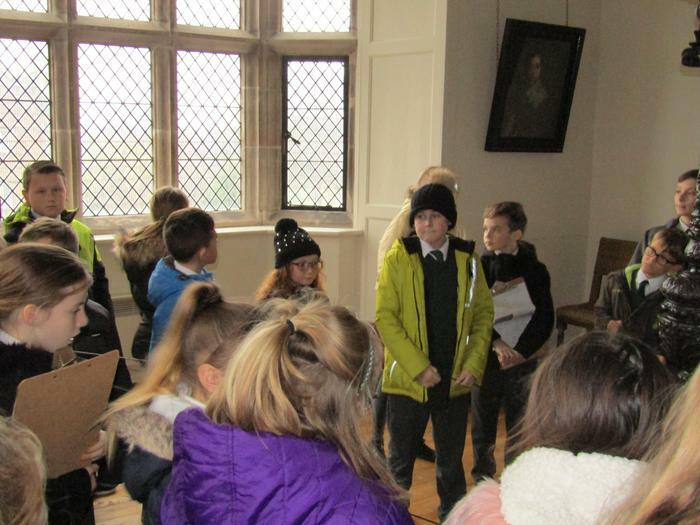 Whilst here, he met with the Year 6 pupils and talked to them about their roles of Prefect. 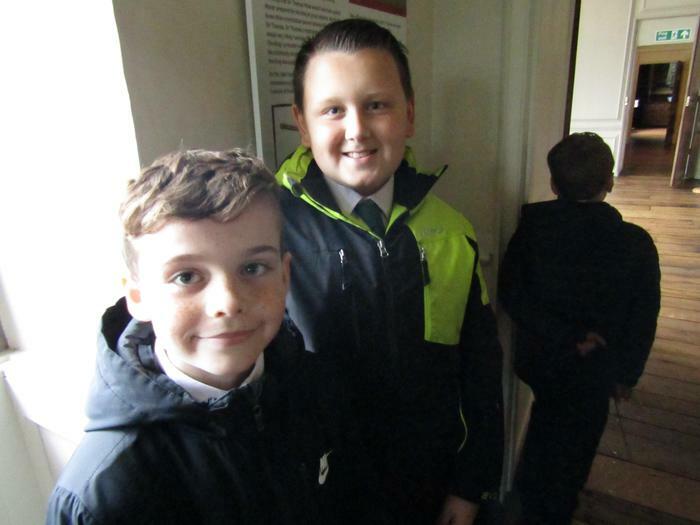 He also looked at the new classrooms currently being built and discussed our new parking buddies. 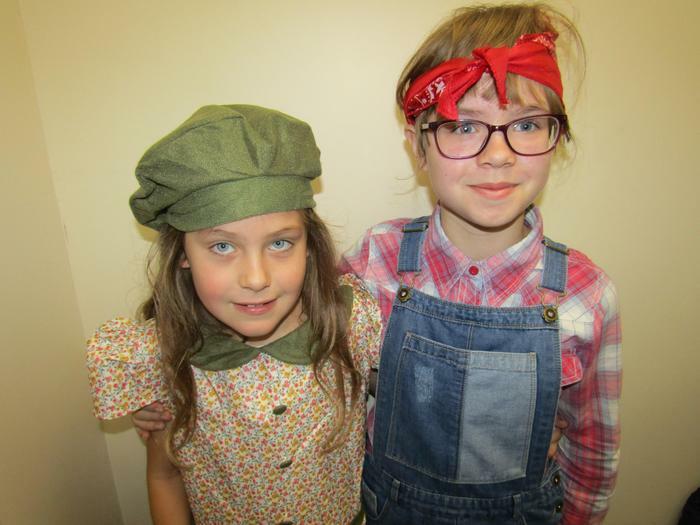 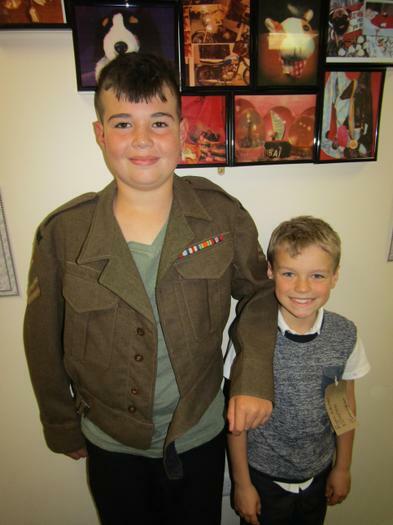 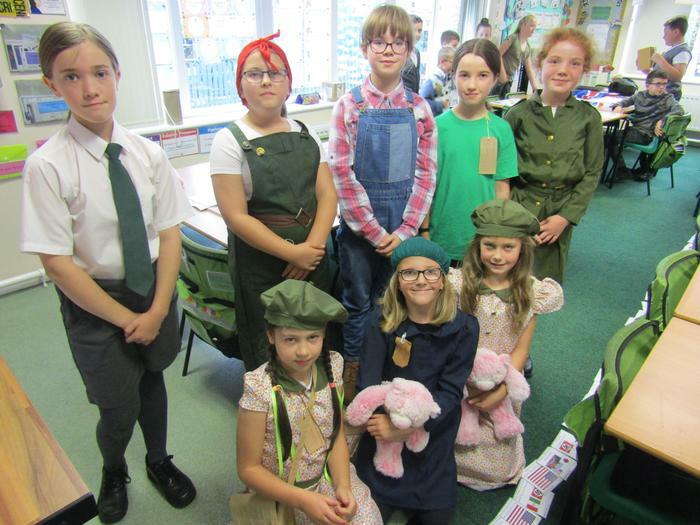 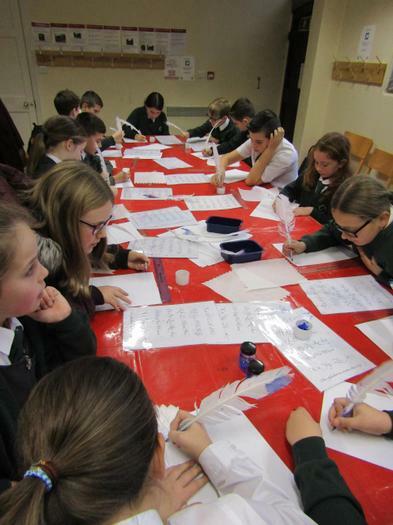 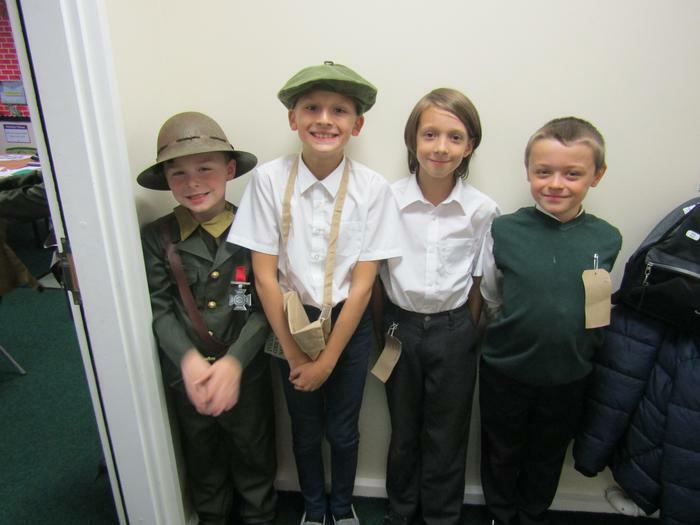 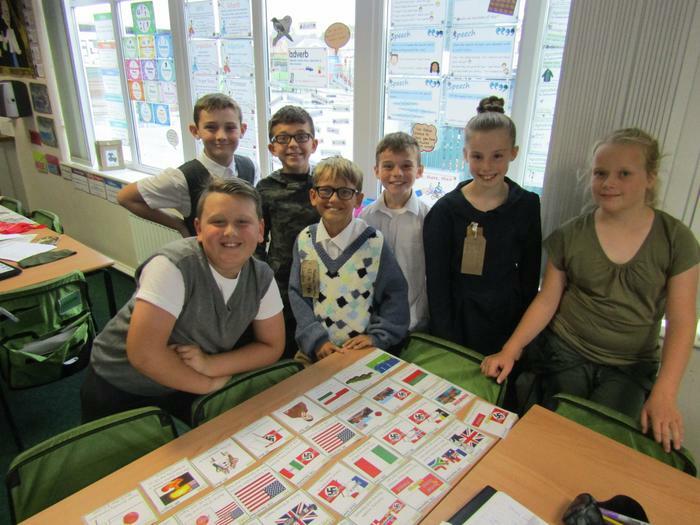 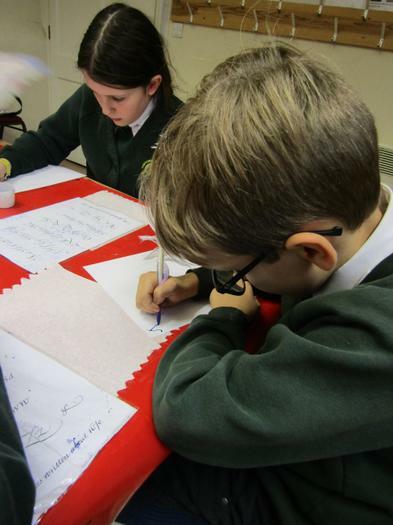 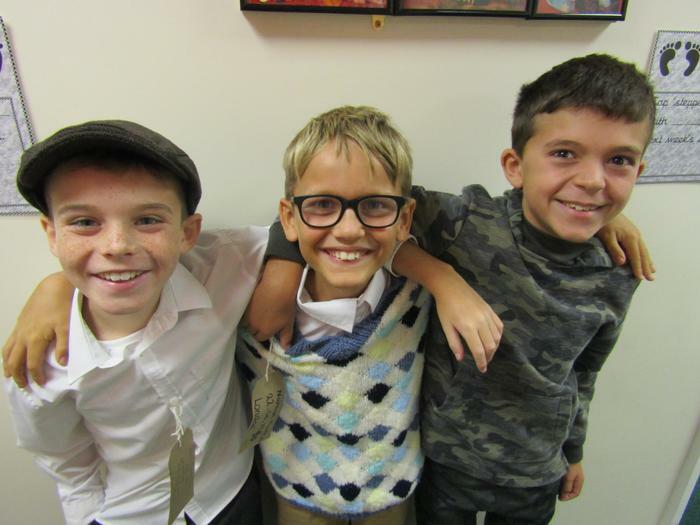 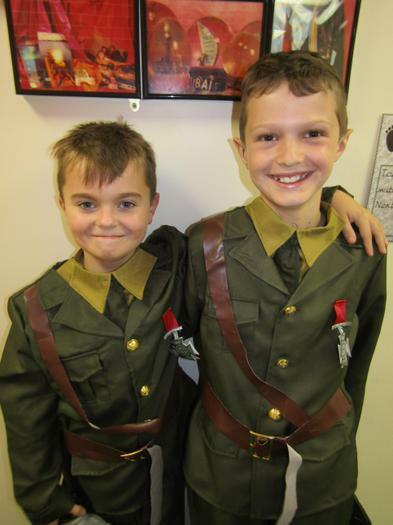 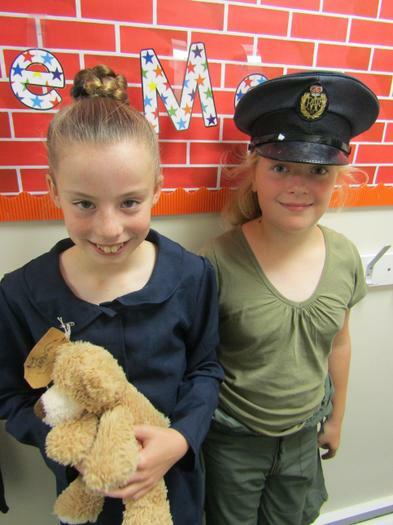 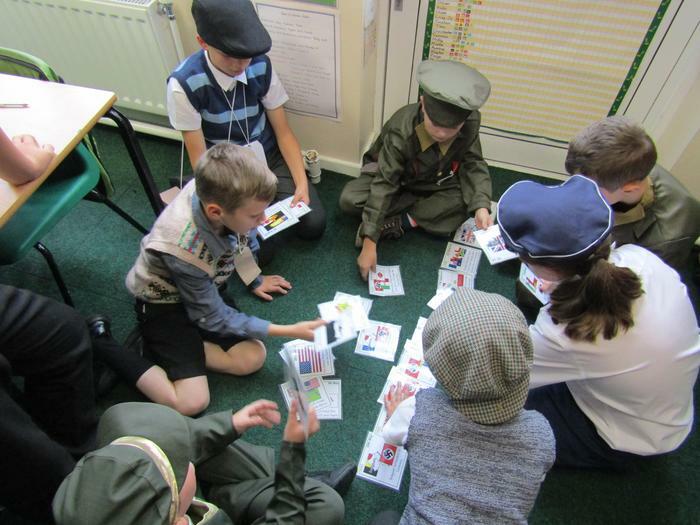 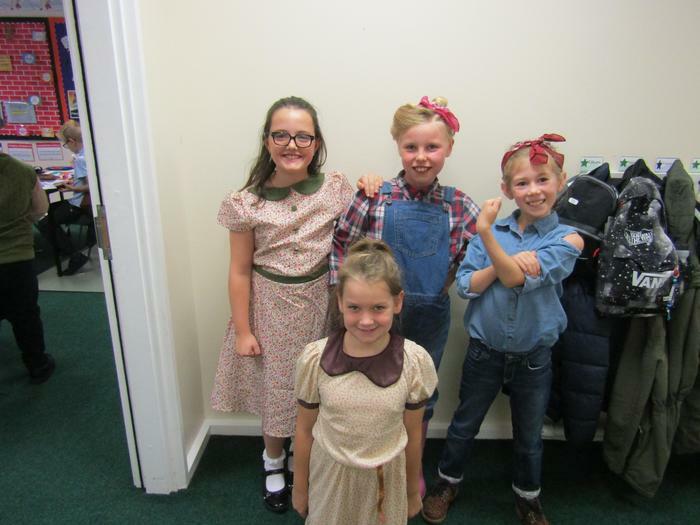 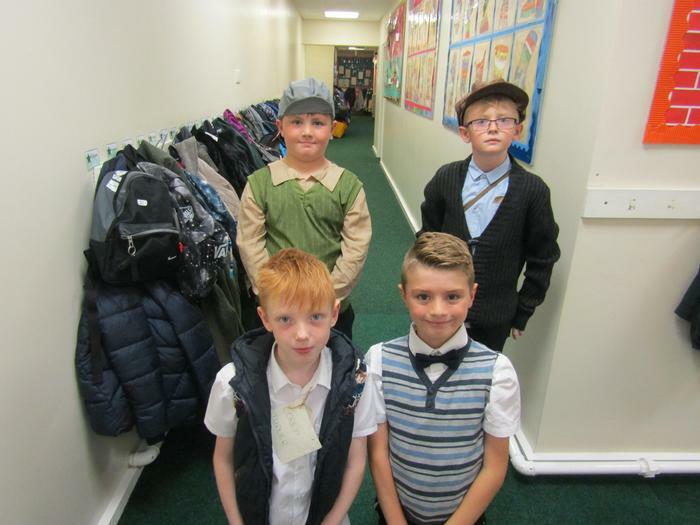 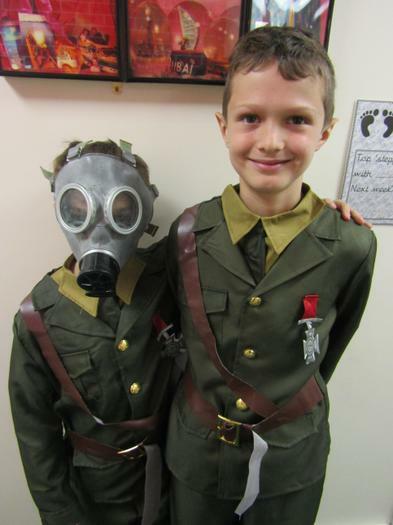 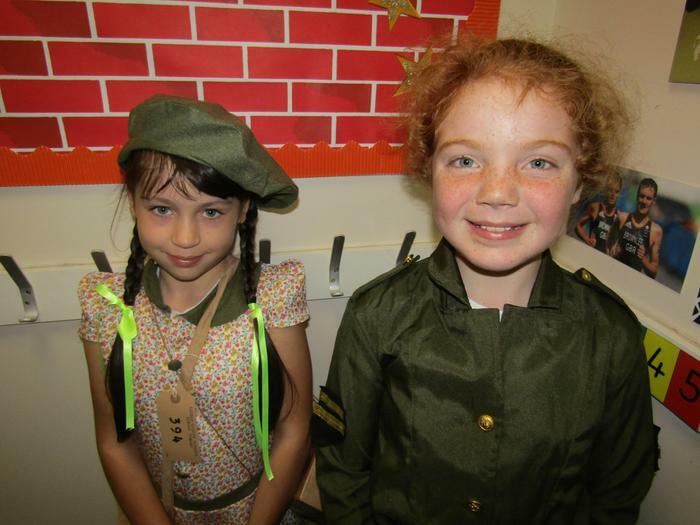 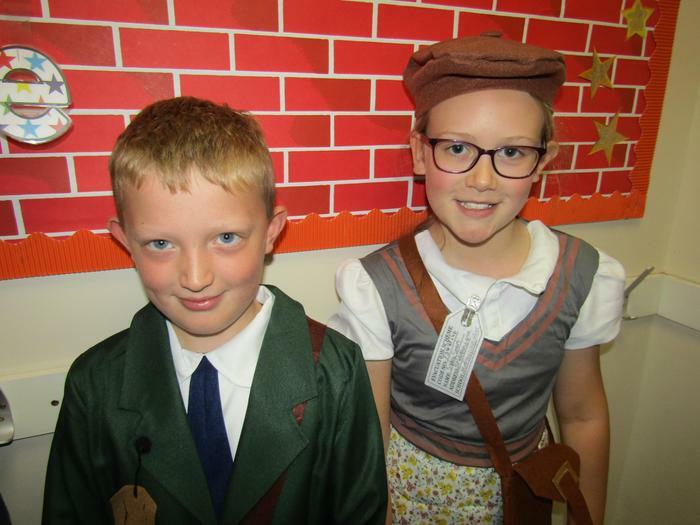 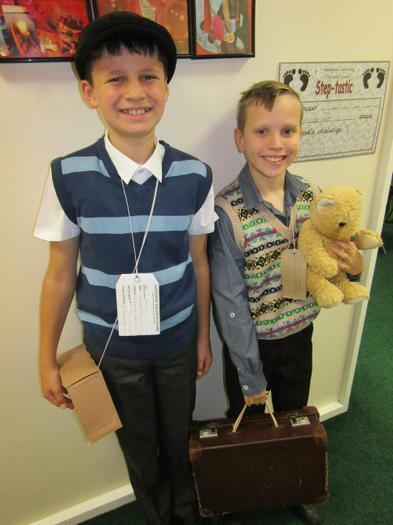 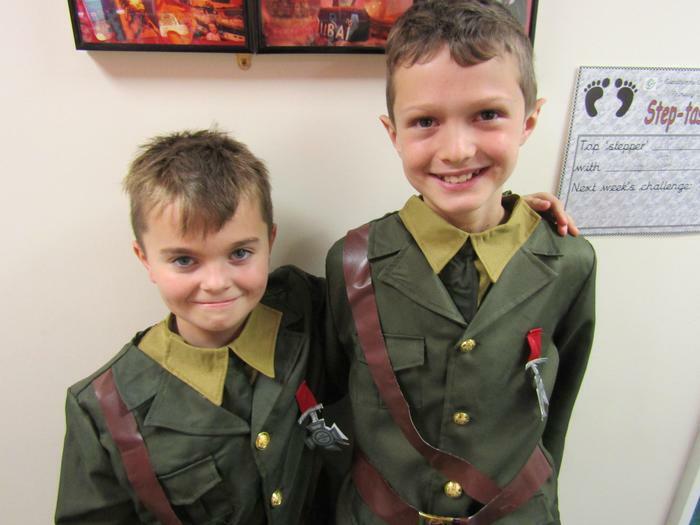 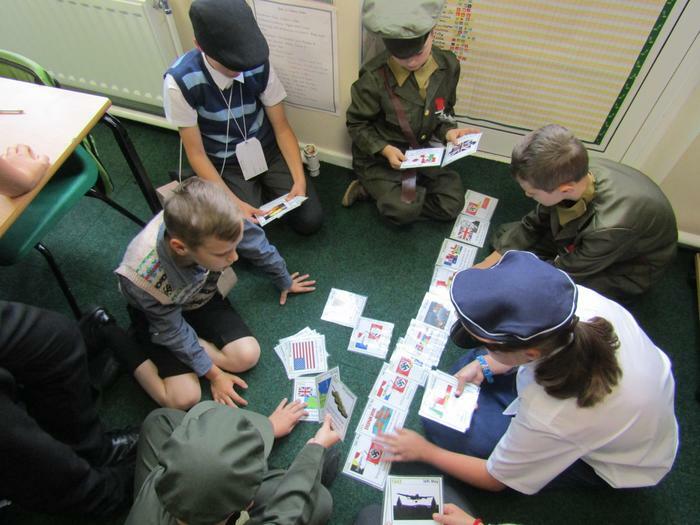 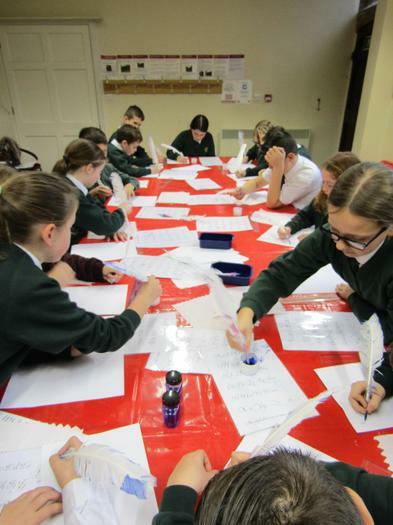 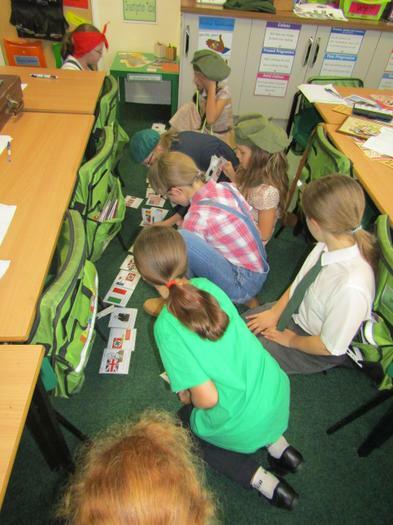 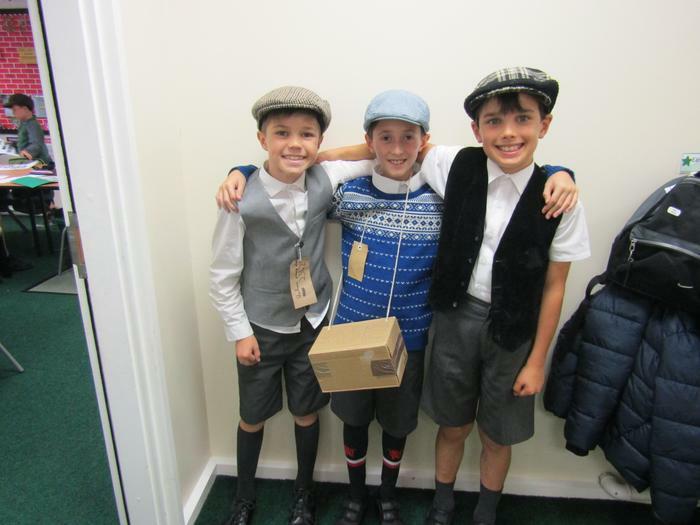 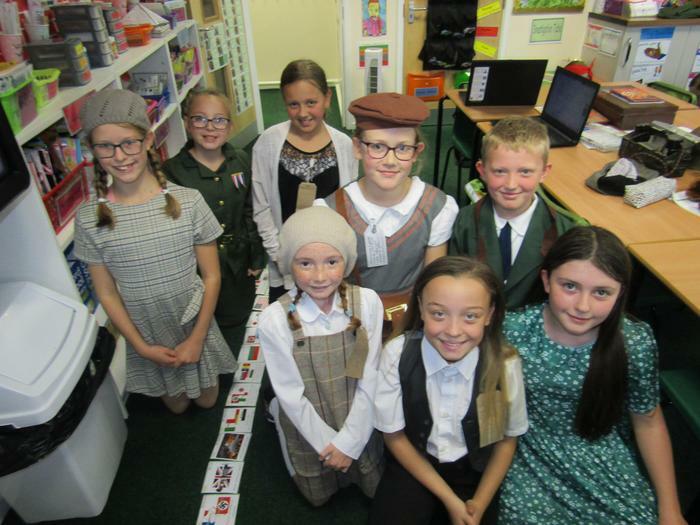 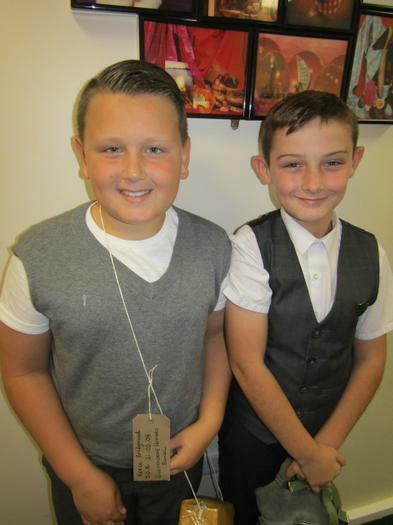 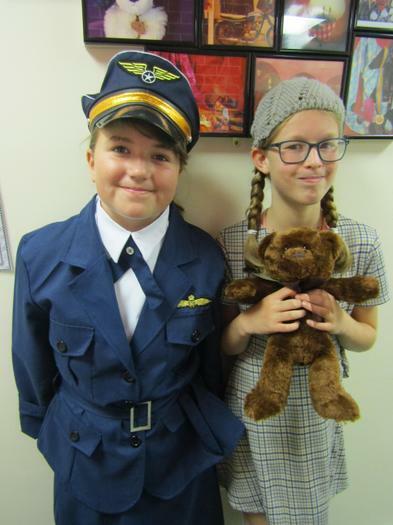 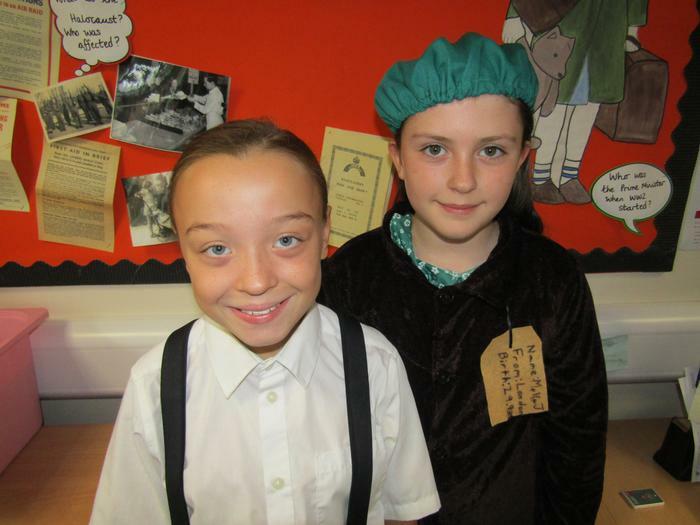 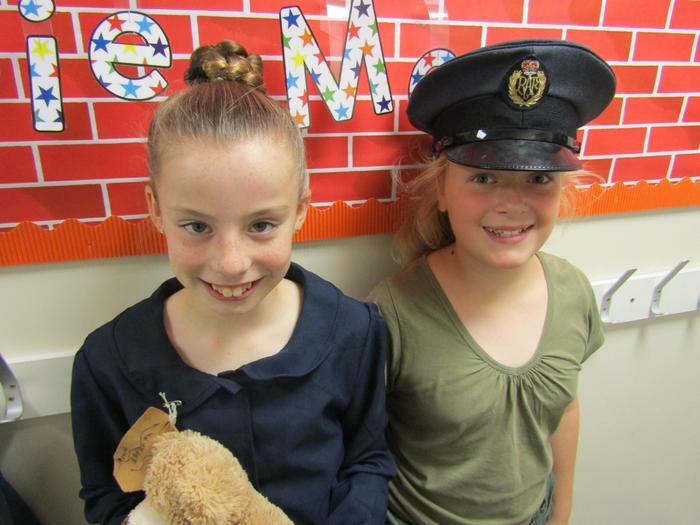 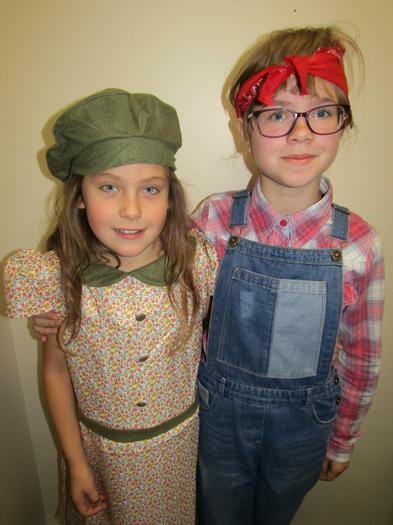 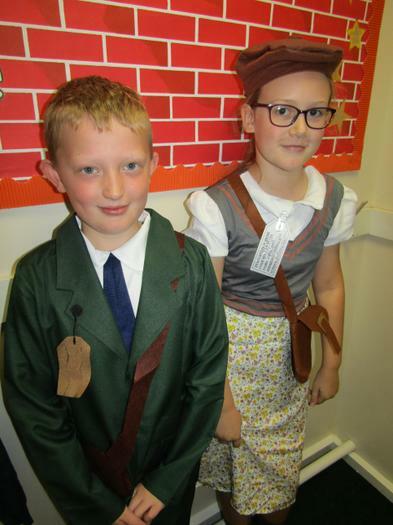 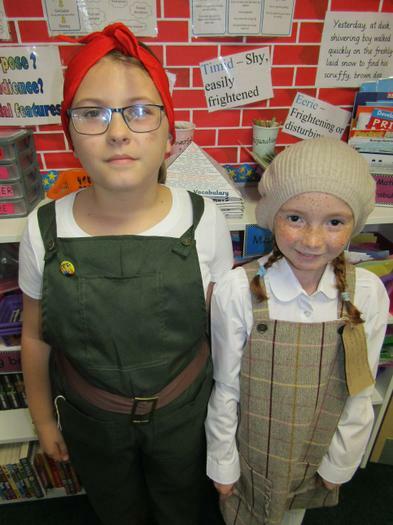 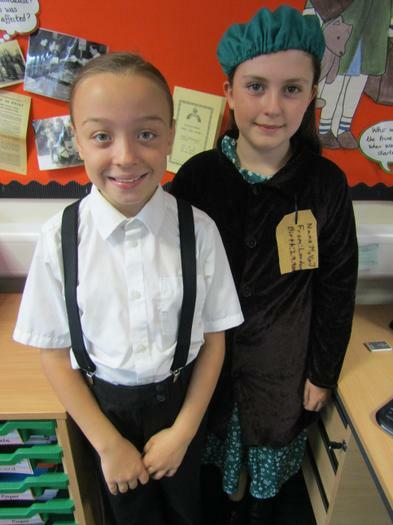 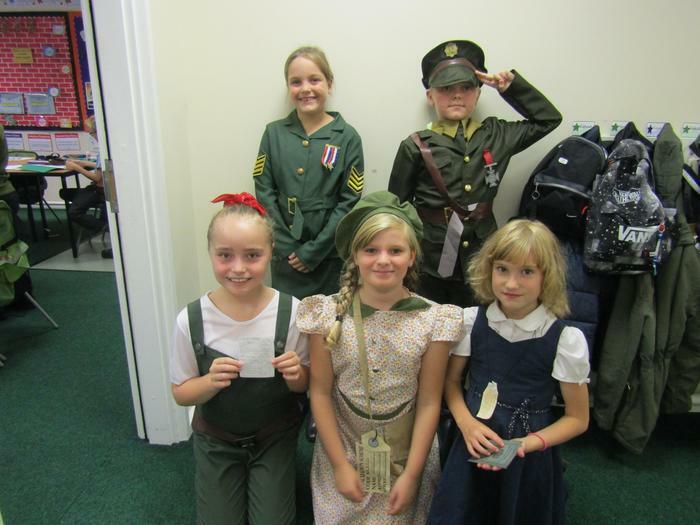 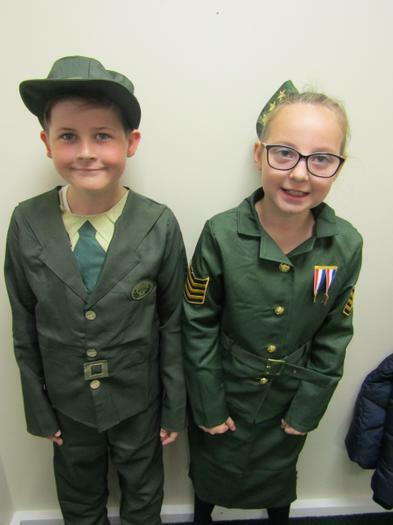 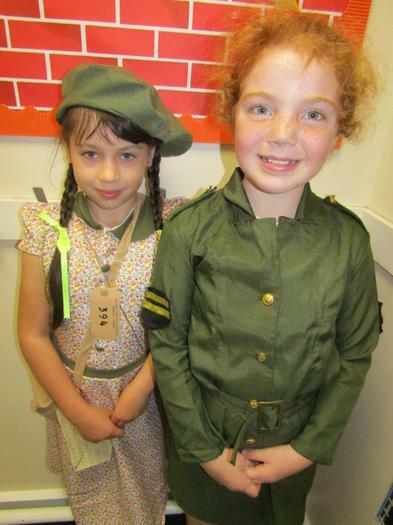 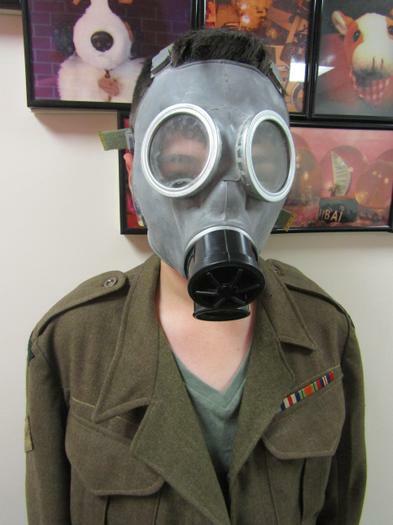 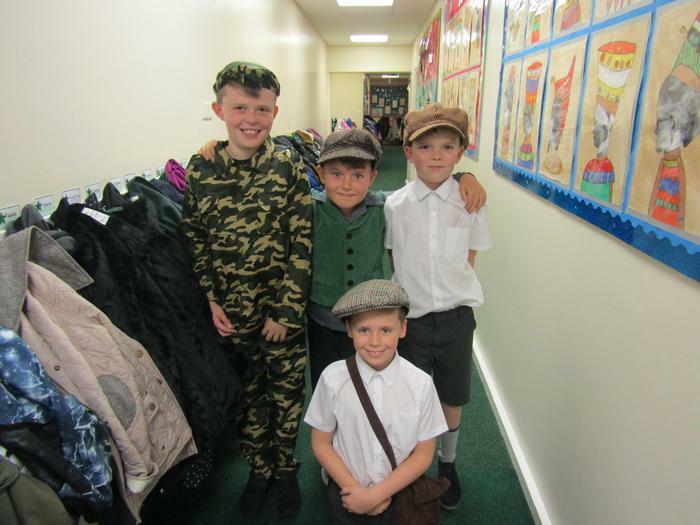 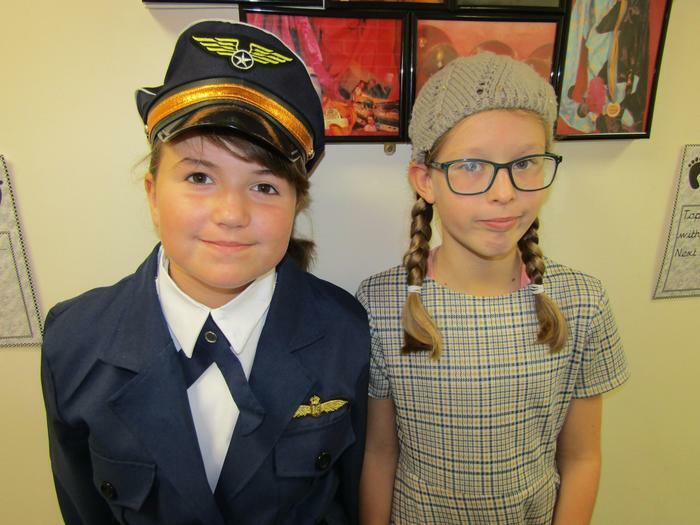 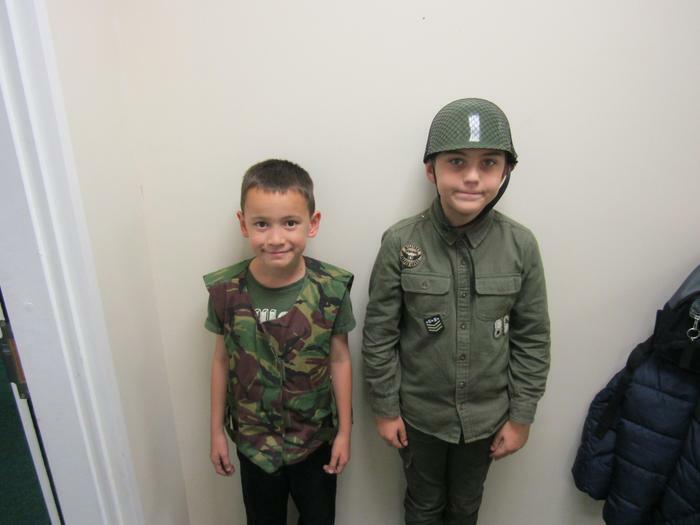 Year 5 and 6 had a great time during our WW2 inspiration day. 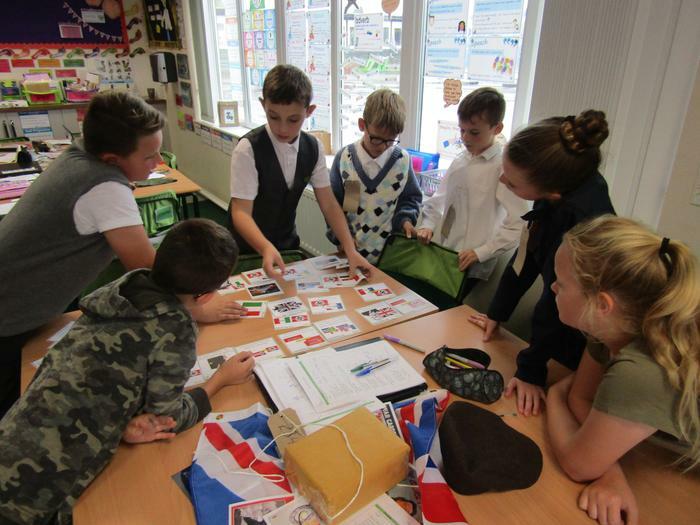 We completed fact finding tasks, had a WW2 quiz, learnt about the chronology of the war and developed our drawing skills. 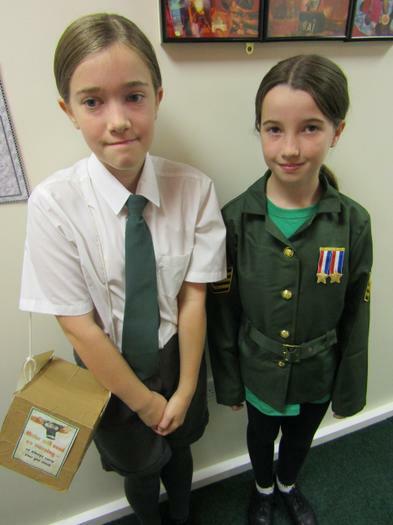 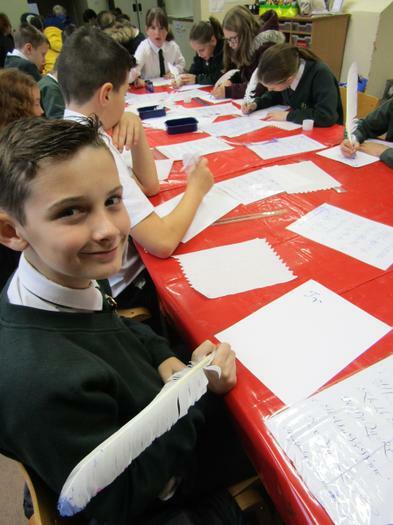 Year 6 completed drawings of a WW2 soldier and Year 5 completed drawings of a WW2 spitfire. 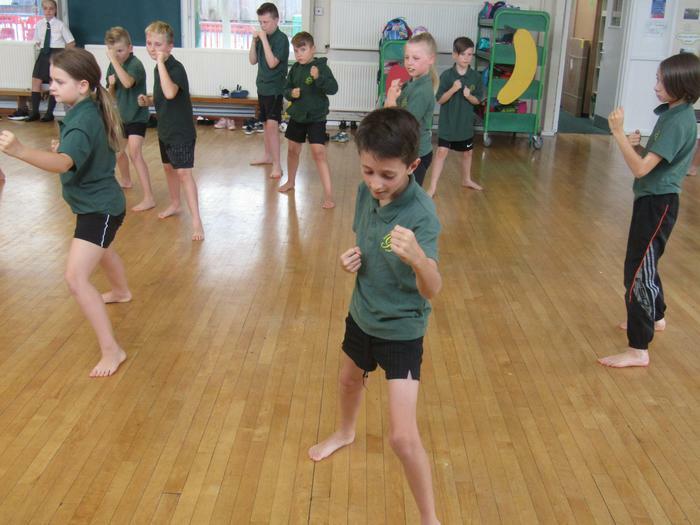 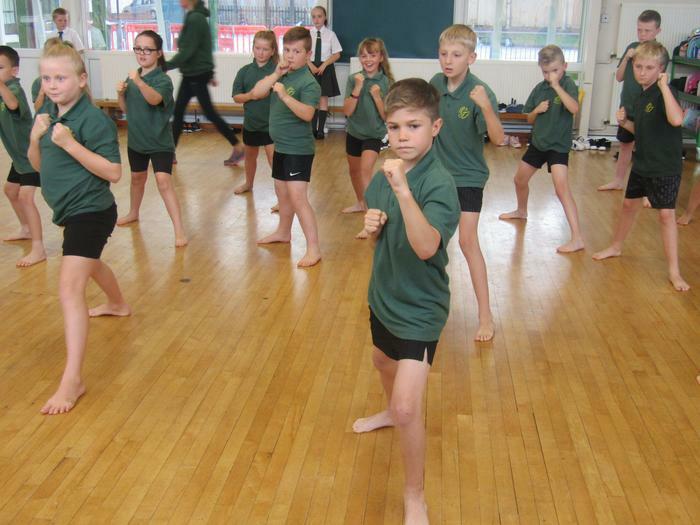 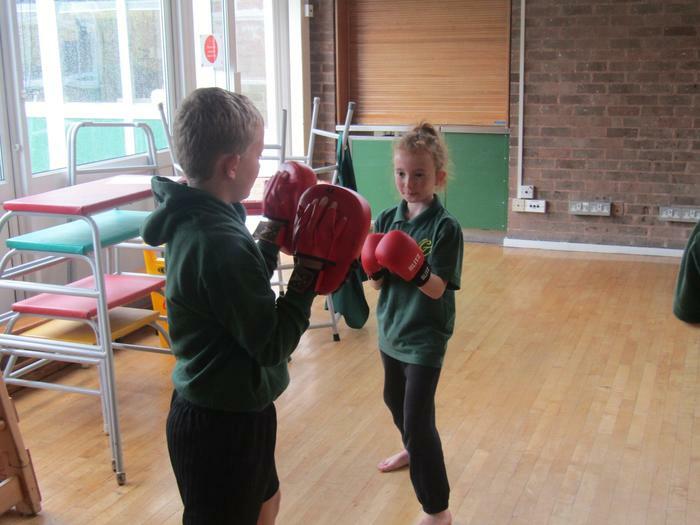 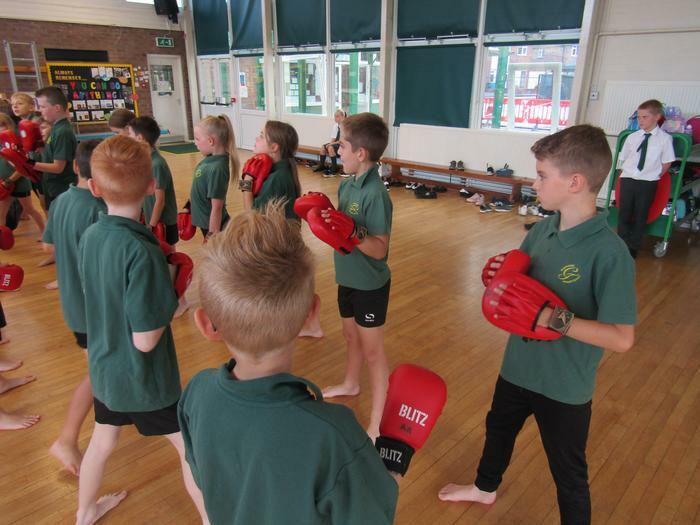 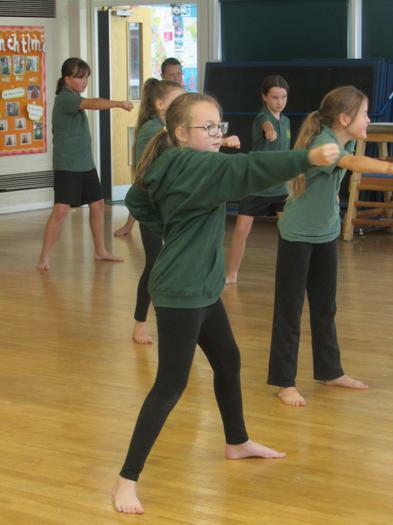 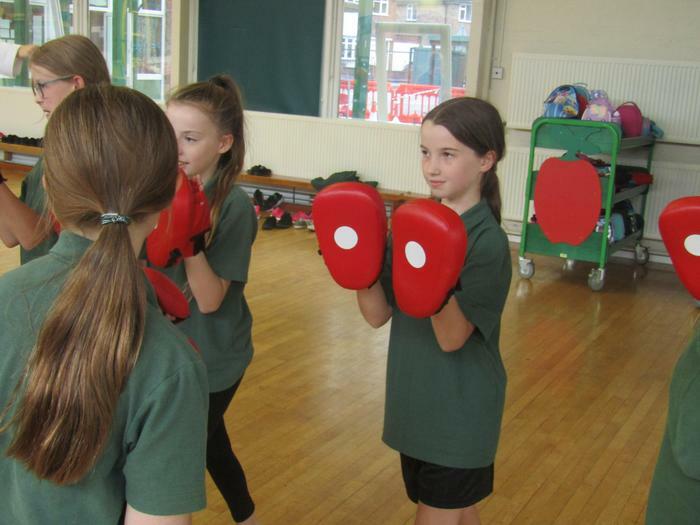 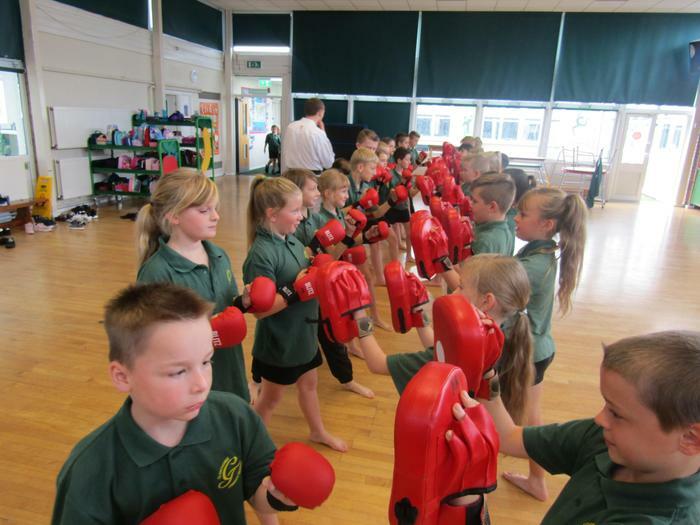 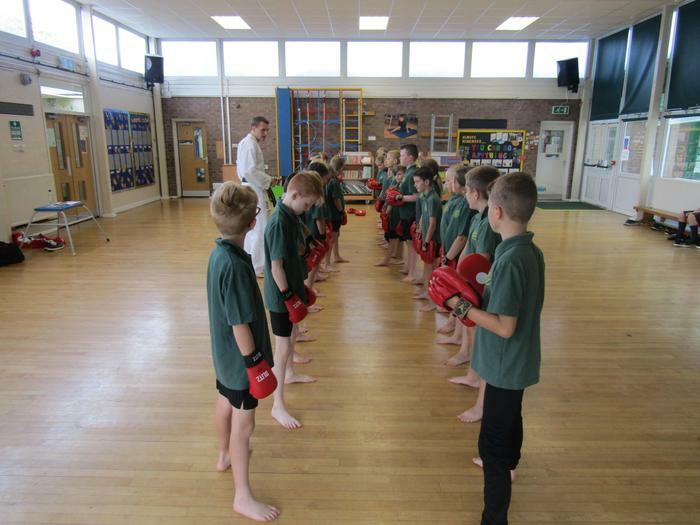 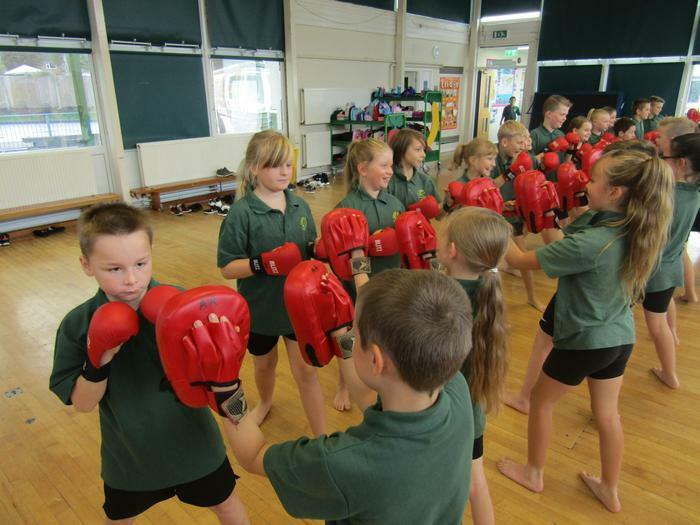 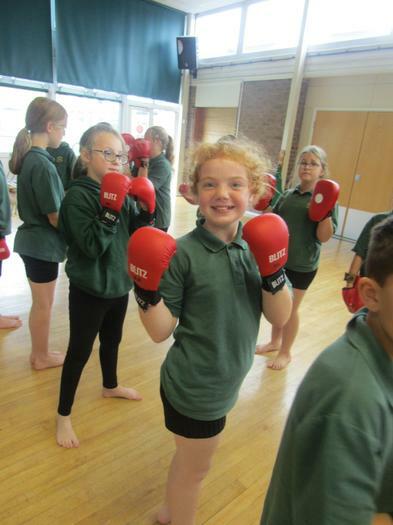 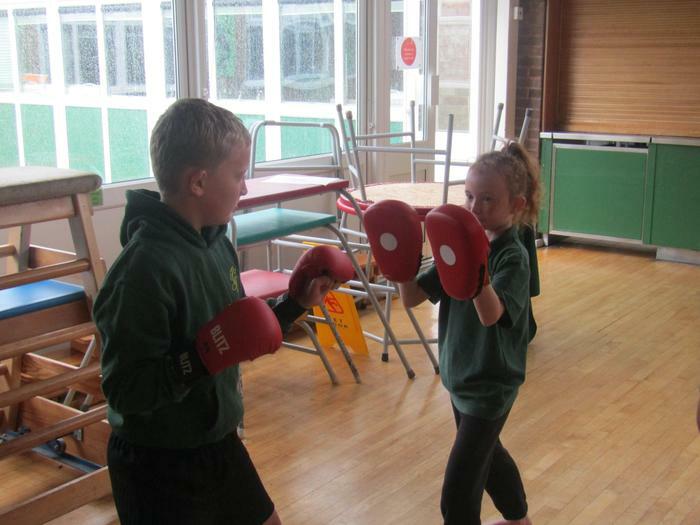 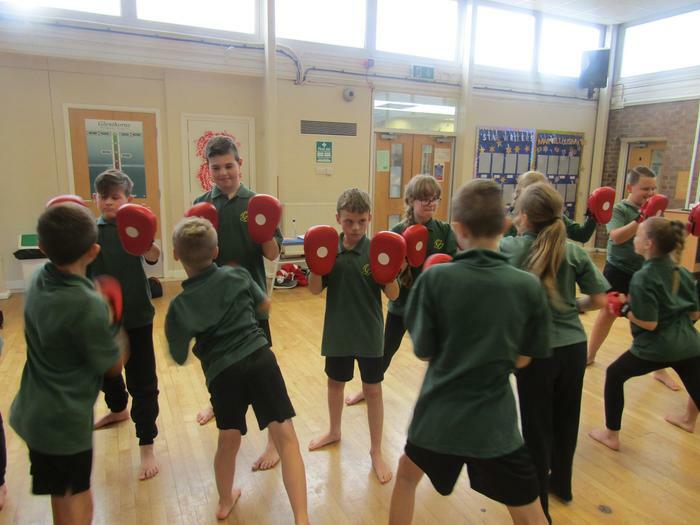 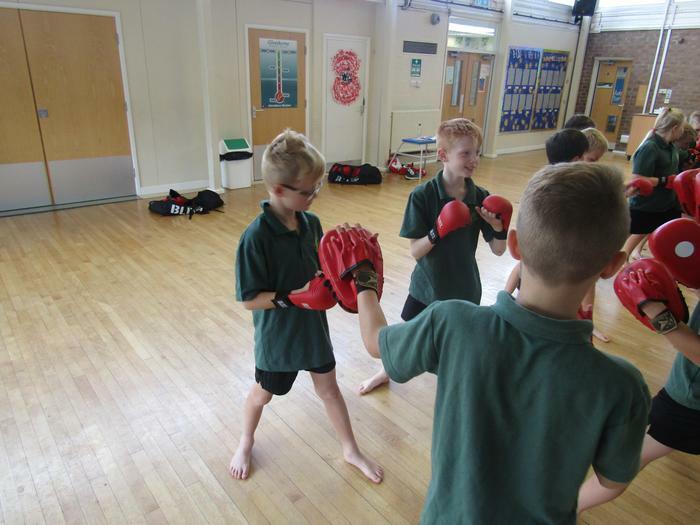 Year 5 and 6 had a great time developing our combat skills. 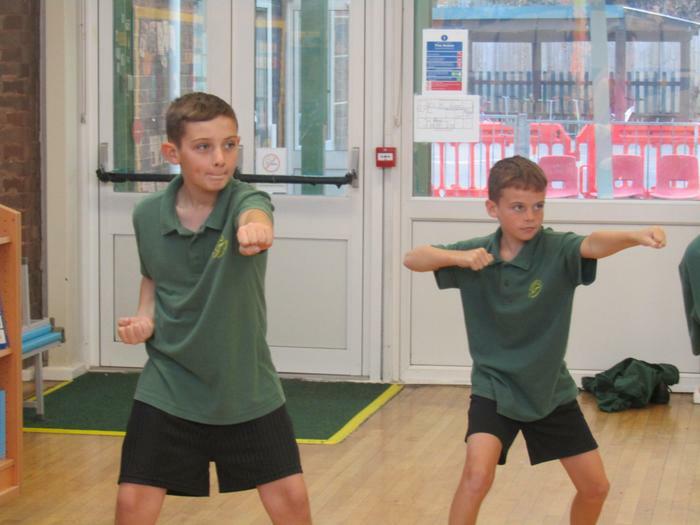 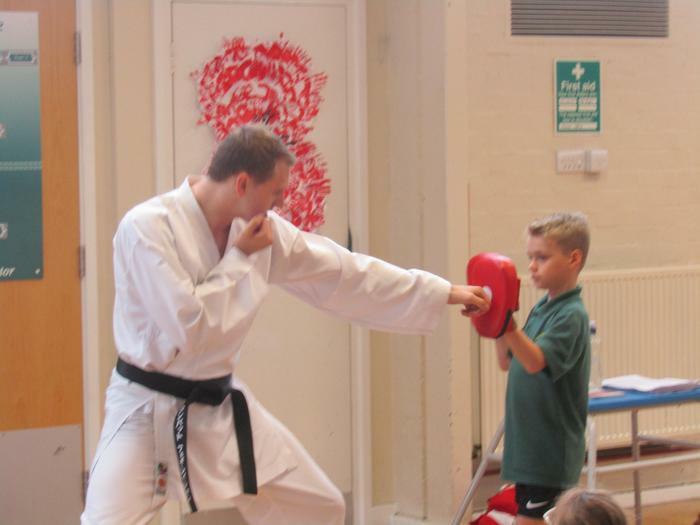 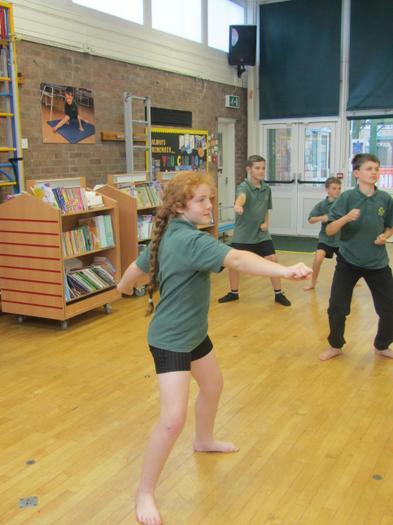 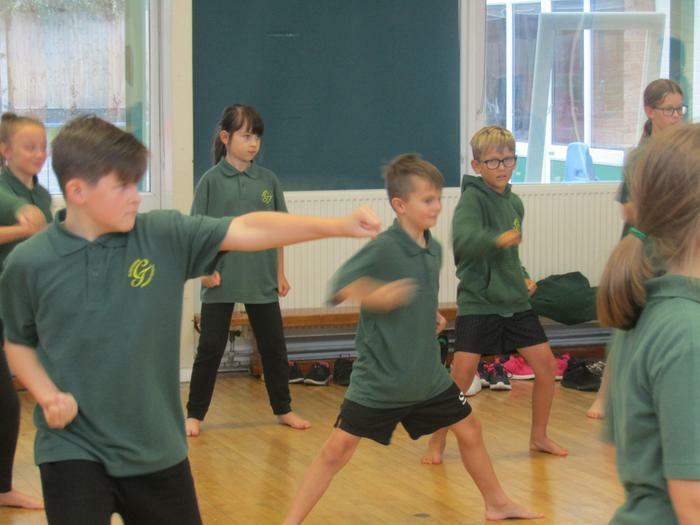 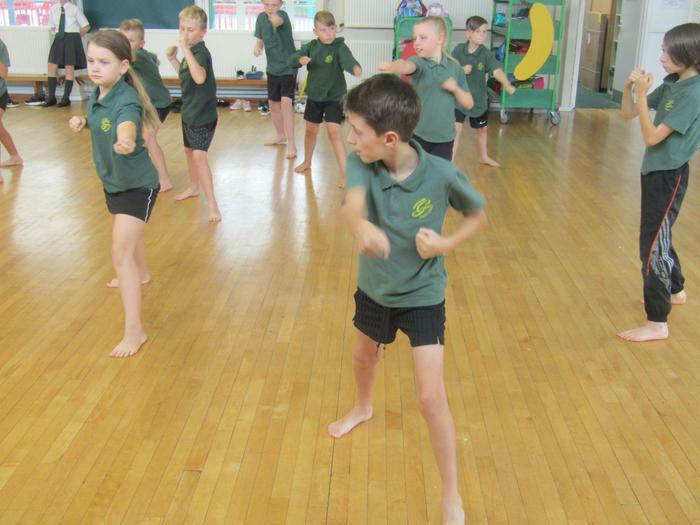 We learnt a few martial art moves and had a great time learning how to balance our bodies in order to protect ourselves.